SecYour Storage Property Group, L.P. The Mele Group of Cushman & Wakefield has been selected to exclusively market for sale West Ocean City Self Storage. 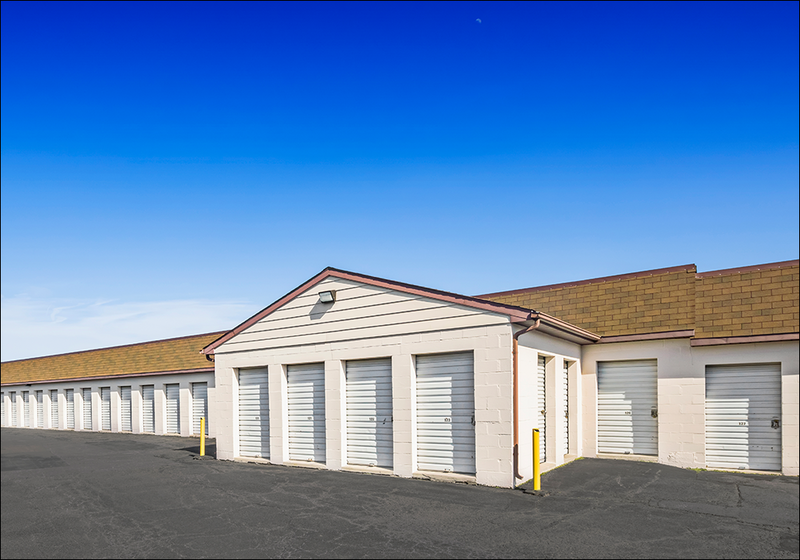 West Ocean City Self Storage is comprised of 64,090 net rentable square feet on approximately 9.76 acres of land. The facility offers 43 climate-controlled units, 435 non-climate-controlled units and 24 parking spaces for a total of 514 units. The subject has physical and economic occupancies of 87.8 and 73.4 percent, respectively. To ensure a secure premise, the facility is equipped with 24-hour video surveillance, perimeter-wide fencing and computerized access. The property features an on-site manager’s apartment with three bedrooms, two bathrooms and a spacious patio across 1,100 square feet. West Ocean City Self Storage offers excellent frontage along U.S. Highway 50, which serves as a direct thoroughfare to all of Ocean City’s well-renowned attractions. Located directly along U.S. Highway 50, the facility benefits from prime visibility as this thoroughfare is the main route leading to Ocean City’s well-renowned beaches and amenities. West Ocean City Self Storage is ideally situated within close proximity to many national retailers and points of interest in Ocean City, Maryland. The property is adjacent to Enterprise Rent-A-Car and is approximately one mile from Walmart, Home Depot and McDonald’s along the same roadway. The site is within two miles of the Ocean City Factory Outlets, Panera Bread, Petco, Marshalls, Staples, Five Guys, Bed Bath & Beyond, PNC, Holiday Inn Express, Wawa, Rite Aid, UPS, Taco Bell and several others. Additionally, U.S. Highway 50 offers access to the Ocean City Boardwalk and all its popular restaurants, hotels and waterfront attractions. Ocean City serves as a major travel destination for the Baltimore-Washington D.C. Metropolitan Area. West Ocean City Self Storage provides an investor the unique opportunity to acquire a self-storage asset with multiple value-add components. The property has forward-looking financials with projected leveraged IRRs of 21.8 percent and 21.4 percent in years five and seven and cash-on-cash returns of 12.8 percent and 13.7 percent in years two and three. An investor can increase profits by implementing a tenant insurance program, a late fee policy and raising rental rates to meet the comparable average, as the climate-controlled and non-climate-controlled rates are currently below market. The subject is under-managed and would be strengthened by the introduction of professional management. The property serves as a Neighborhood U-Haul Dealer and benefits from a digital market footprint through U-Haul promoting the facility on its website. Furthermore, the opportunity represents a rare advantage in obtaining a well-maintained facility with excellent financials in a thriving component of Ocean City, Maryland. Cushman & Wakefield U.S., Inc. ("Broker") has been retained as the exclusive advisor and broker regarding the sale of the property known as West Ocean City Self Storage, located in Ocean City, MD. To receive an Offering Memorandum ("Offering Memorandum") please read, sign and return this completed Confidentiality Agreement to Broker. The Offering Memorandum has been prepared by Broker for use by a limited number of parties and does not purport to provide a necessarily accurate summary of the property or any of the documents related thereto, nor does it purport to be all-inclusive or to contain all of the information which prospective Buyers may need or desire. All projections have been developed by Broker and designated sources and are based upon assumptions relating to the general economy, competition, and other factors beyond the control of the Seller and therefore are subject to variation. No representation is made by Broker or the Seller as to the accuracy or completeness of the information contained herein, and nothing contained herein shall be relied on as a promise or representation as to the future performance of the property. Although the information contained herein is believed to be correct, the Seller and its employees disclaim any responsibility for inaccuracies and expect prospective purchasers to exercise independent due diligence in verifying all such information. Further, Broker, the Seller and its employees disclaim any and all liability for representations and warranties, expressed and implied, contained in or omitted from the Offering Memorandum or any other written or oral communication transmitted or made available to the Buyer. The Offering Memorandum does not constitute a representation that there has been no change in the business or affairs of the property or the Owner since the date of preparation of the Offering Memorandum. Analysis and verification of the information contained in the Offering Memorandum are solely the responsibility of the prospective Buyer. Additional information and an opportunity to inspect the property will be made available upon written request to interested and qualified prospective Buyers. By accepting the Offering Memorandum, you agree to indemnify, defend, protect and hold Seller and Broker and any affiliate of Seller or Broker harmless from and against any and all claims, damages, demands, liabilities, losses, costs or expenses (including reasonable attorney's fees, collectively "Claims") arising, directly or indirectly from any actions or omissions of Buyer, its employees, officers, directors or agents. By accepting the Offering Memorandum, you acknowledge that you are a principal and not an agent of or acting on behalf of any other party in connection with the acquisition. Buyer acknowledges that it is aware that any Agent/Broker other than Cushman & Wakefield, must be compensated by Buyer as Cushman & Wakefield is not cooperating on fees. Furthermore, Buyer acknowledges that it has not had any discussion regarding this Property's Sale with any other broker or agent other than Broker or an agent/broker properly identified through this registration process, including but not limited to, resolutions of incomplete, conflicting or duplicate registrations. Buyer shall indemnify and hold Seller and Broker harmless from and against any claims, causes of action or liabilities, including, without limitation, reasonable attorney's fees and court costs which may be incurred with respect to any claims for other real estate commissions, broker's fees or finder's fees in relation to or in connection with the Property to the extent claimed, through or under Seller. The Seller and Broker each expressly reserve the right, at their sole discretion, to reject any or all expressions of interest or offers regarding the Property and/or to terminate discussions with any entity at any time with or without notice. The Seller shall have no legal commitment or obligations to any entity reviewing the Offering Memorandum or making an offer to purchase the Property unless a written agreement for the purchase of the Property has been fully executed, delivered, and approved by the Seller and its legal counsel, and any conditions to the Seller's obligation thereunder have been satisfied or waived. The Offering Memorandum and the contents, except such information which is a matter of public record or is provided in sources available to the public, are of a confidential nature. By accepting the Offering Memorandum, you agree that you will hold and treat it in the strictest confidence, that you will not photocopy or duplicate it, that you will not disclose the Offering Memorandum or any of the contents to any other entity (except to outside advisors retained by you, if necessary, for your determination of whether or not to make an offer and from whom you have obtained an agreement of confidentiality) without prior written authorization of the Seller or Broker, and that you will not use the Offering Memorandum or any of the contents in any fashion or manner detrimental to the interest of the Seller or Broker. Cushman & Wakefield U.S., Inc. 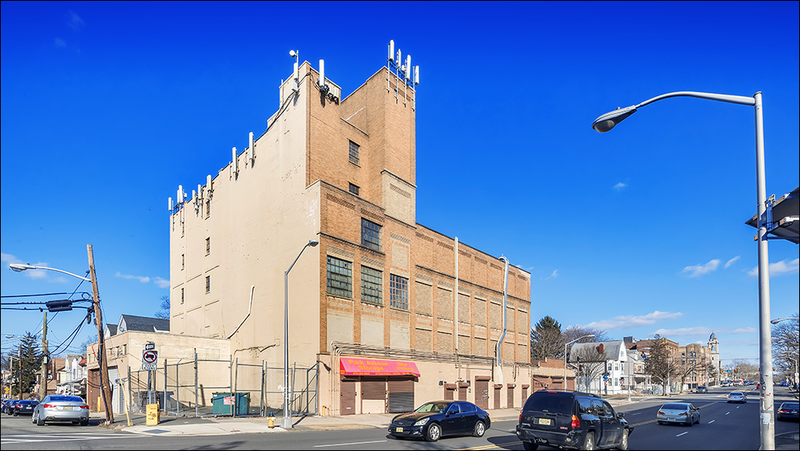 The Mele Group of Cushman & Wakefield is pleased to exclusively offer for sale the Park Avenue Self Storage Development in Newark, New Jersey. 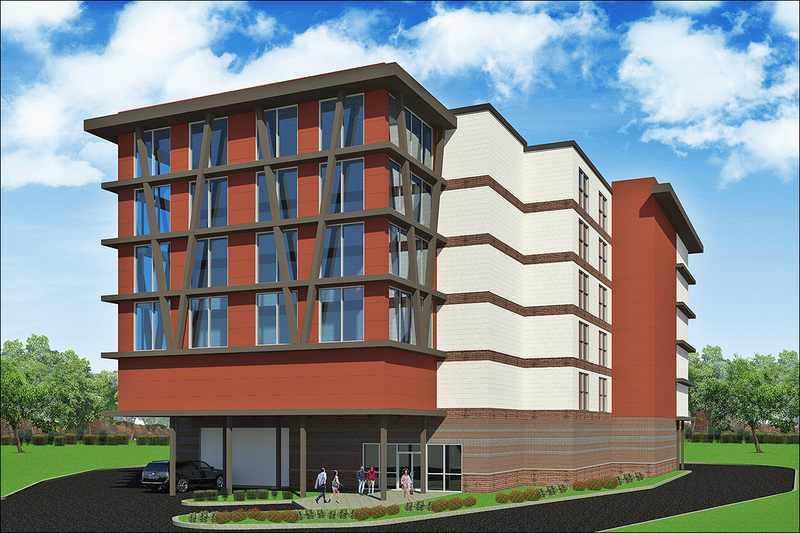 The proposed self-storage development offers an investor the opportunity to renovate and convert an existing building into a newly-constructed storage facility. The proposed development is permit ready and consists of approximately 69,019 projected rentable square feet. 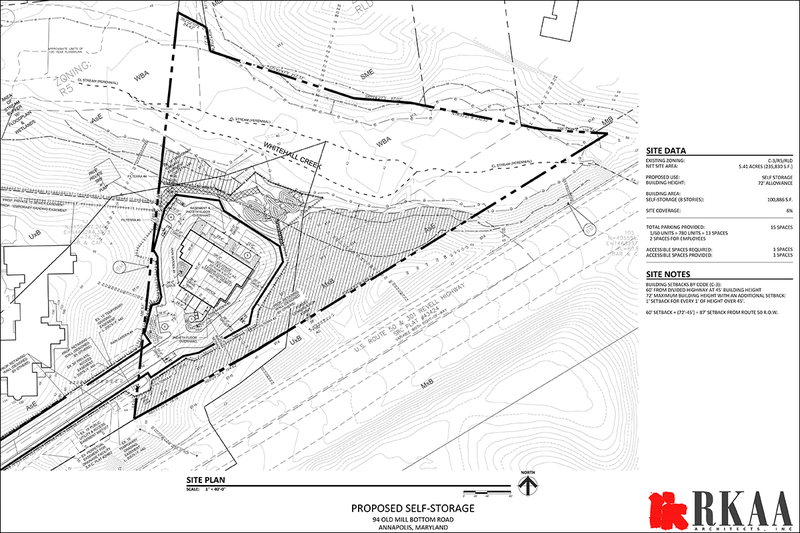 In addition to the current 58,000-square foot building, the development plan includes a new 49,900- square foot building to be constructed adjacent to and connected to the current structure. Based on the demands of the market, the facility’s unit mix is comprised of fully climate-controlled units. An investor can benefit from high market rates. Currently, the area’s competitors offer 10x10 climate-controlled storage at an average of $200. After a 36-month lease-up period, the subject is projected to yield a 90 percent stabilized physical occupancy. Located on an estimated 0.5 acres at 365 Park Avenue, the site is situated in the heart of multiple residential and multifamily communities. The property has excellent frontage along Park Avenue, which witnesses a traffic count exceeding 11,000 vehicles per day. The location also boasts fantastic access from both Garden State Parkway and Interstate 280, which respectively see traffic counts of over 167,000 and 160,000 vehicles daily. The property is adjacent to Parkside Preschool and is within a mile of UPS, Planet Fitness, KFC, Dunkin’ Donuts, MetroPCS, PNC, Walgreens and several others. The subject is encompassed by several dense residential areas, including the Upper Roseville, Lower Roseville and Ampere residential areas. The overall population within a three-mile radius consists of 450,717 individuals among 160,789 households. Furthermore, the subject will benefit from a 58.6 percent renter-occupied housing population; this ratio showcases the necessity for storage among this high population of renters. 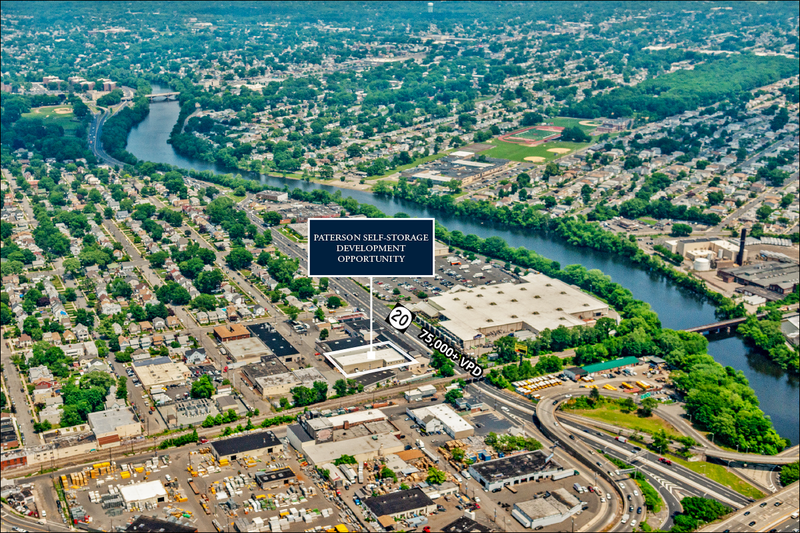 Acquisition guarantees prominent visibility within a heavily-populated area of Newark. The city is situated approximately ten miles from New York City. Both major thoroughfares are less than a mile away and lead directly into the communities to be served by the site. 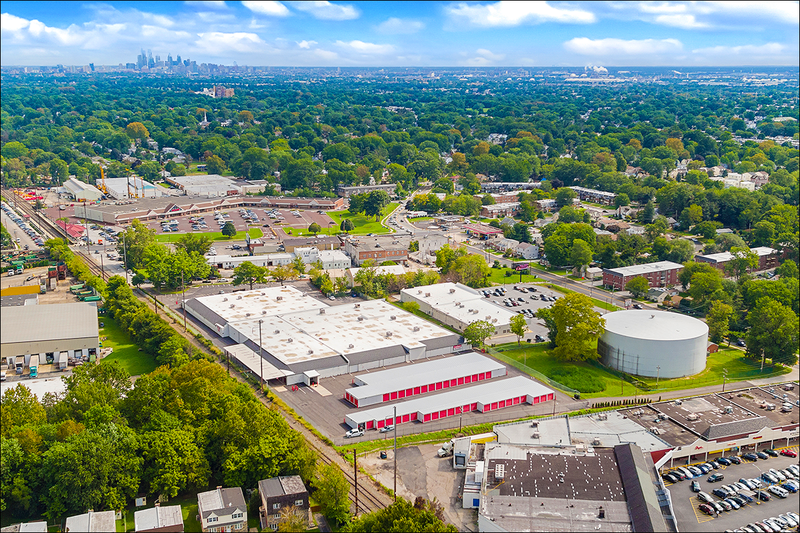 With a high square footage, ideal adjacent surroundings and a residentially-dense area boasting many nationally-recognized tenants, the Park Avenue Self Storage Development will provide a beneficial self-storage location in this dense area of New Jersey’s most populous city. 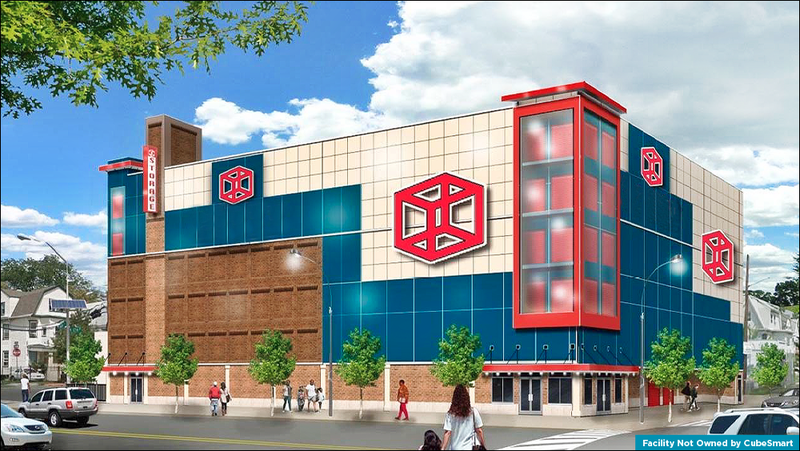 Cushman & Wakefield U.S., Inc. ("Broker") has been retained as the exclusive advisor and broker regarding the sale of the property known as Park Avenue Self-Storage Development, located in Newark, NJ. The Mele Group of Cushman & Wakefield is pleased to exclusively offer for sale American Patriot Self Storage in Portsmouth, Virginia. American Patriot Self Storage is situated in Portsmouth, Virginia, which is adjacent to the city of Norfolk and a key component of the Hampton Roads Metropolitan Area. 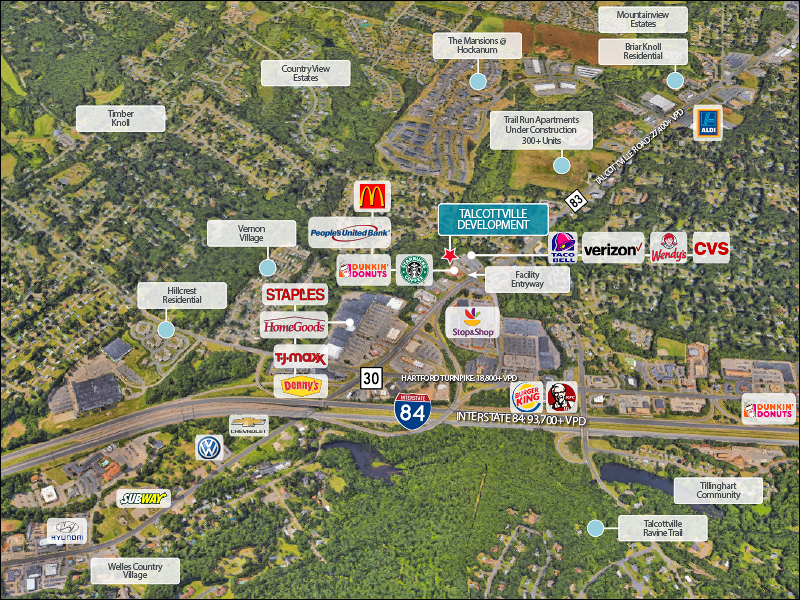 An investor has the unique opportunity to acquire a stabilized asset in a dense retail corridor encompassed by several residential zones. The facility has excellent physical and economic occupancies of 92.7 percent and 85.1 percent, respectively. Additionally, the subject has solid projected leveraged IRRs of 19.0 percent and 17.3 percent in years five and seven. American Patriot Self Storage serves as the primary storage facility within the immediate vicinity and benefits from limited competition; there are only four other self-storage options within four miles of the subject. There is a population in excess of 235,000 individuals within five miles of the property, in addition to a 45.7 percent renter-occupied housing population. American Patriot Self Storage offers a tenant insurance program and a truck rental program for an additional stream of revenue. 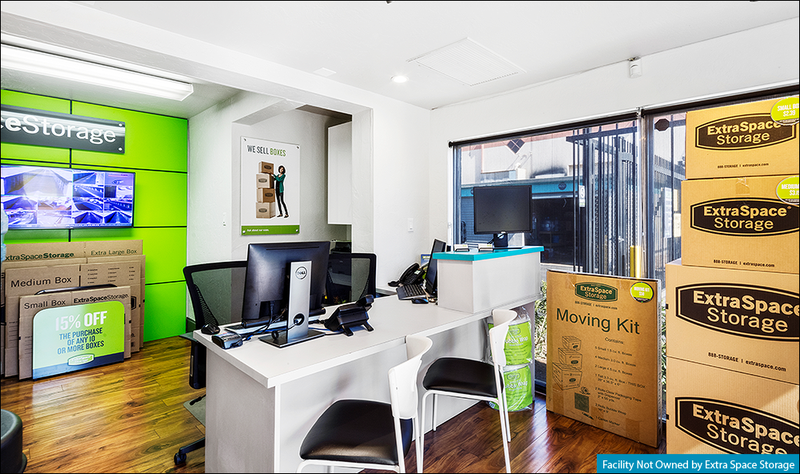 Furthermore, the facility offers a wide-variety of units and E-commerce software for consumer convenience. Consisting of 48,857 net rentable square feet on 1.55 acres, the facility maintains 310 interior units and 103 drive-up units for a total of 413 units. 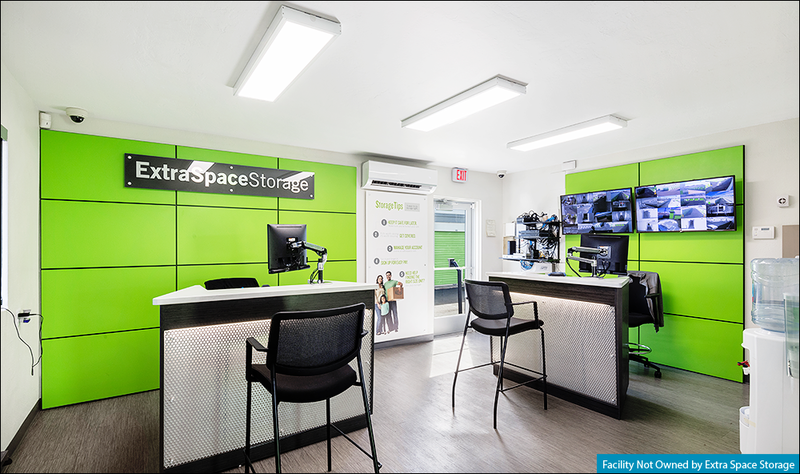 The subject offers several well-maintained storage options, premium video surveillance, optimal lighting, fencing and professional, on-site management. American Patriot Self Storage provides consumers with individual codes for gated access and utilizes a local security company after hours to ensure secure storage. The property is easily accessible from the downtown and midtown areas of Portsmouth, Norfolk and Chesapeake. The facility offers convenient access to several high-traffic thoroughfares within the region. London Boulevard and Martin Luther King Freeway are within 0.5 miles of the property, demonstrating traffic counts in excess of 20,000 and 37,000 vehicles per day. Additionally, American Patriot Self Storage is easily accessible from the Midtown tunnel and Interstate 64. The facility is within close proximity to Virginia Beach and is encompassed by a thriving retail corridor and nearly a dozen densely-populated residential zones. Portsmouth is a key component of the Hampton Roads Metropolitan Area and is centrally located with convenient access to Norfolk, Virginia Beach and Williamsburg. Cushman & Wakefield U.S., Inc. ("Broker") has been retained as the exclusive advisor and broker regarding the sale of the property known as American Patriot Self Storage, located in Portsmouth, VA. 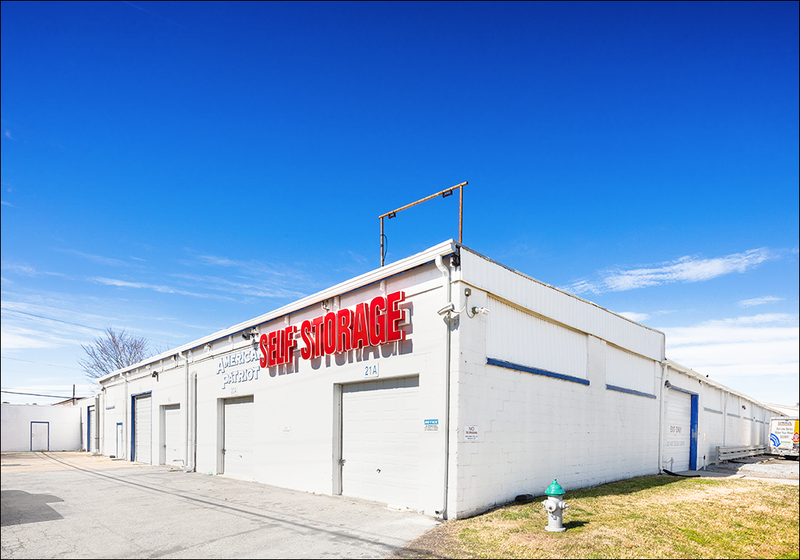 The Mele Group of Cushman & Wakefield has been selected to exclusively market for sale Budget Self Storage in Waldorf, Maryland, a component of the D.C. Metro Area. 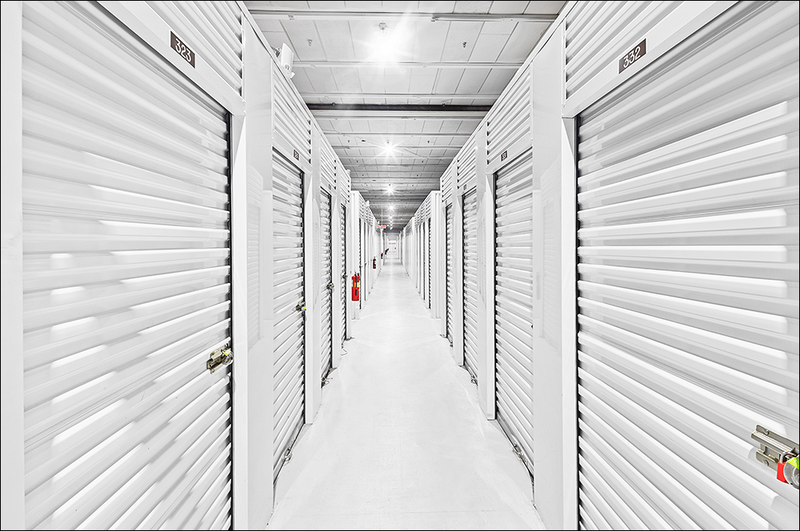 Ideally situated in the populous Washington, D.C. Metropolitan Statistical Area, Budget Self Storage offers exceptional upside in an affluent community boasting a median household income of $98,000 within a five-mile radius. This is a prime opportunity to substantially raise revenue by increasing rental rates to match the market; currently, rental rates are approximately 25 percent below market. An investor can also enhance returns through the collection of fee income, the implementation of a tenant insurance program and the introduction of a self-service kiosk to reduce management salary costs. 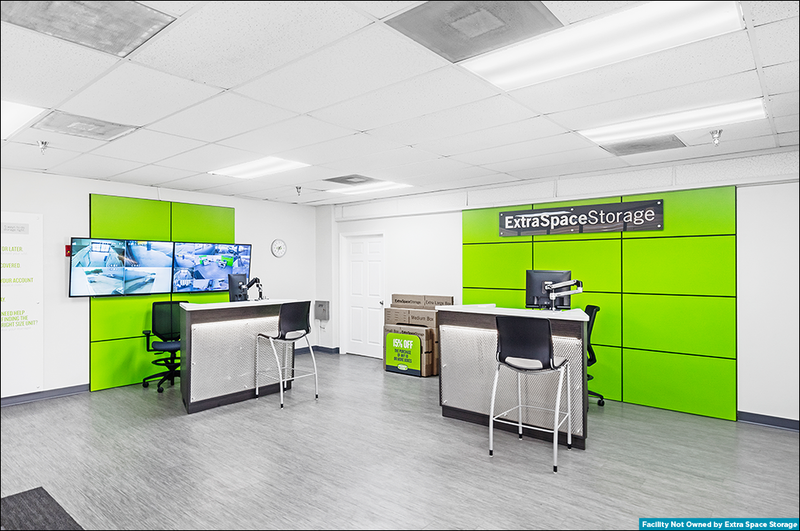 Furthermore, the facility currently lacks a digital presence; acquisition advantageously allows for a new owner to capitalize on offering an online payment system and search engine optimization (SEO) as the rate in which tenants discover self-storage locations through online searches has continued to skyrocket over time. 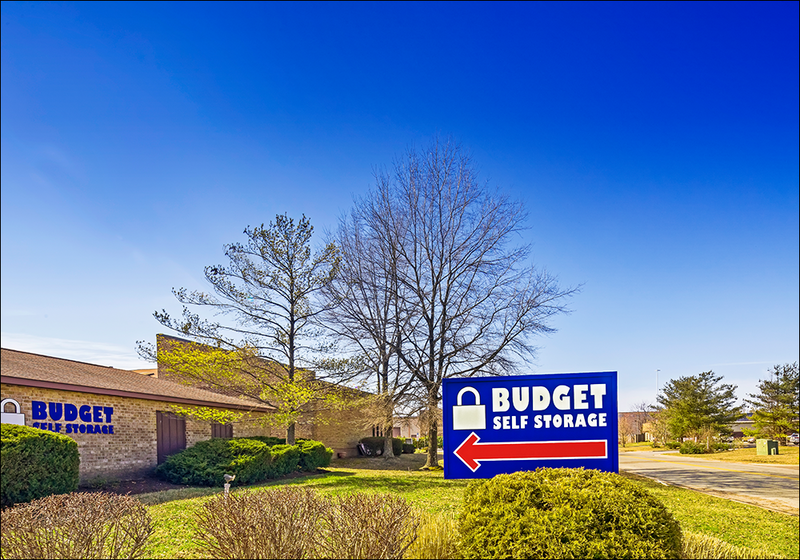 Budget Self Storage consists of 21,327 rentable square feet among 204 non-climate-controlled, drive-up storage units, resulting in a physical occupancy of 84.4 percent and an economic occupancy of 76.9 percent. To secure the premises, the facility is equipped with video surveillance, full-perimeter fencing, keypad access and gated entry. Within the past two years, capital improvements have been made to ensure the facility is well-maintained and an optimal choice for consumers. Residing on 1.5 acres at 12 Irongate Drive, the site offers convenient access to several high-traffic thoroughfares in the surrounding region of Waldorf. The property is conveniently 1.4 miles from U.S. Highway 301/Crain Highway, which sees an estimated traffic count of over 61,400 vehicles daily and serves as a major connector within the region. Leonardtown Road and St. Charles Parkway are also in close proximity, with estimates exceeding 29,000 and 19,000 vehicles daily, respectively. Centered on Washington, D.C., Waldorf is a suburb of this metro area that is notably one of the most educated and affluent metro areas within the nation. Cushman & Wakefield U.S., Inc. ("Broker") has been retained as the exclusive advisor and broker regarding the sale of the property known as Budget Self Storage, located in Waldorf, MD. The Mele Group of Cushman & Wakefield has been selected to exclusively market for sale EXR-Managed Tampa, located in the heart of the Tampa Bay Area. 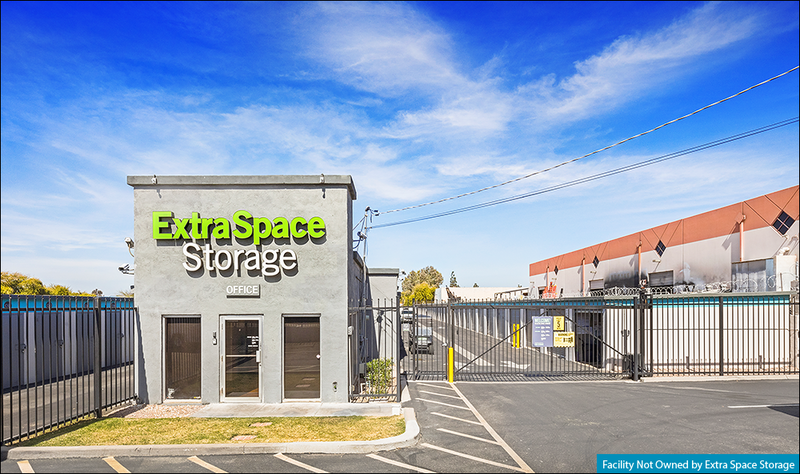 Converted in 2016, the multistory self-storage facility offers 74,940 rentable square feet and 676 modern storage units. 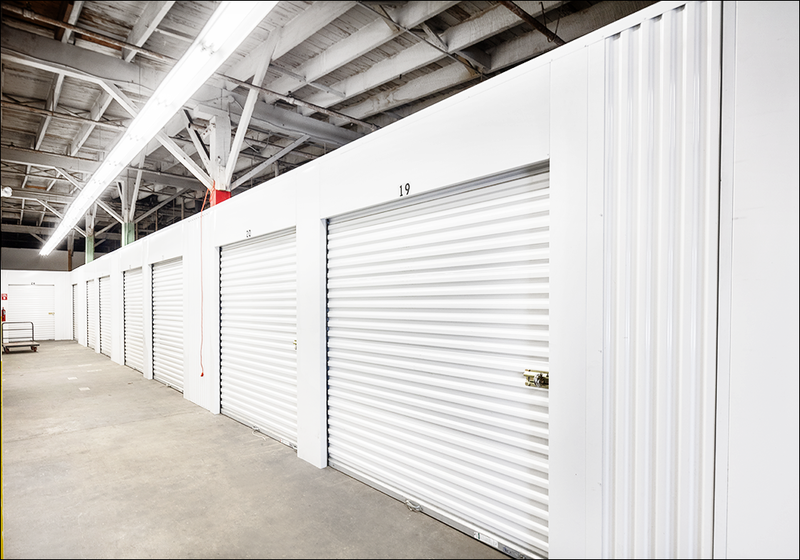 From climate-controlled and non-climate controlled storage units, ranging in size from 25 square feet to 1,050 square feet, to boat/RV parking spaces, the property caters to the surrounding area’s comprehensive storage needs. 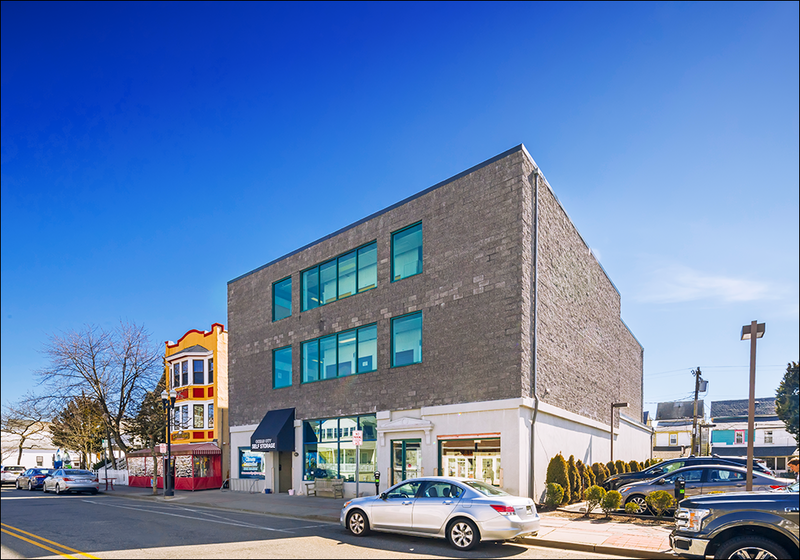 The occupancies are indicative of a successful lease-up phase at a current 88.1 percent physical occupancy and 68.6 percent economic occupancy, with the ability to further add units on the extensive property’s second floor. 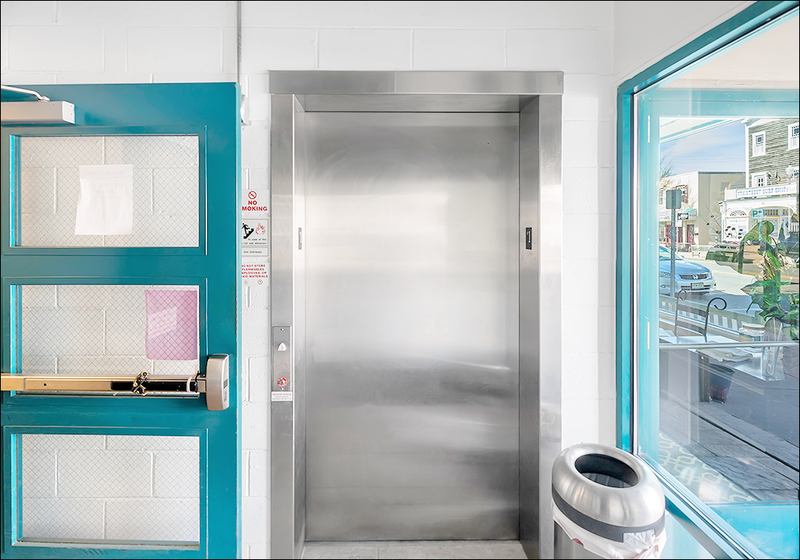 The professionally-managed facility has multiple loading bays and is secured by on-site management, 24-hour video surveillance and keypad access. Strategically, the property boasts multiple streams of revenue, including a strong tenant insurance program and two parking leases to utilize the spacious lot occupied by its tenants, along with the overall high volume of tenant traffic at the storage site. The facility resides on approximately 4.78 acres and benefits from its impeccable situation at 2320 West Hillsborough Avenue in Tampa, Florida; this location is on the signalized intersection of Hillsborough Avenue and Armenia Avenue, resulting in a combined traffic count of over 91,100 vehicles daily. 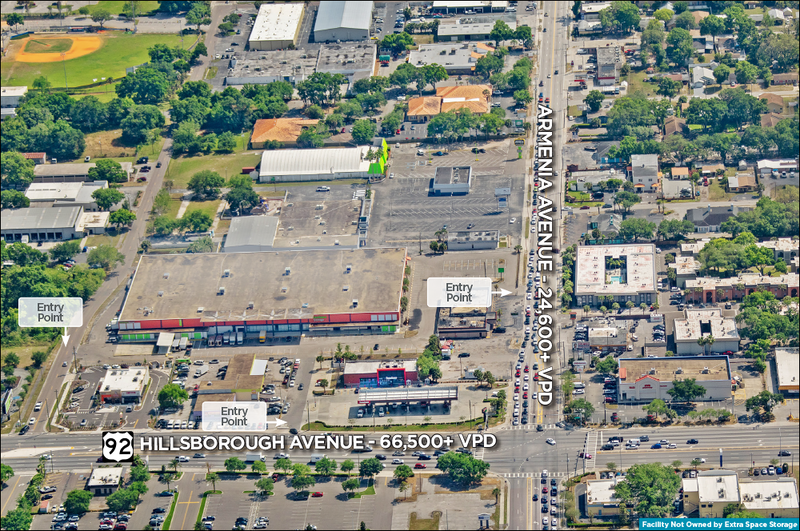 Hillsborough Avenue individually sees over 66,500 vehicles daily, while Armenia sees over 24,500 vehicles daily; the site is advantageously accessible from both thoroughfares. The intersection houses national retailers, including Publix, CVS, Thornton’s and numerous others to match the populous location. Within a five-mile radius is a population of 315,479 individuals and 126,512 households, while the three-mile radius also boasts a large population of 133,194 individuals and 51,704 households. The five-mile population is projected to rise by 7.5 percent within a five-year span from 2019 to 2024, exceeding national growth. Furthermore, both radiuses have a population that is over 50 percent renter-occupied; historically, renters utilize storage at a higher rate than owners. 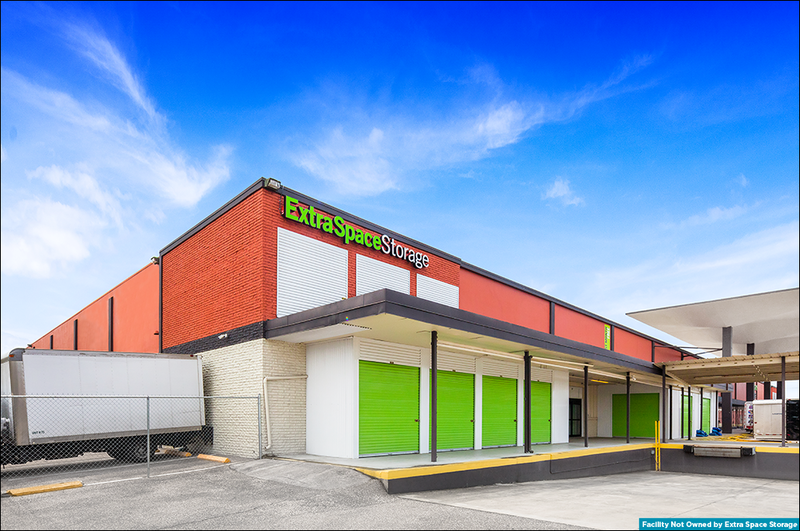 EXR-Managed Tampa is poised to continue its growth as the area itself continues to benefit from an influx of residents and national retailers migrating into the corridor. With high-traffic counts along the Hillsborough-Armenia intersection, the opportunity leaves room to capitalize on optimal signage to enhance visibility. 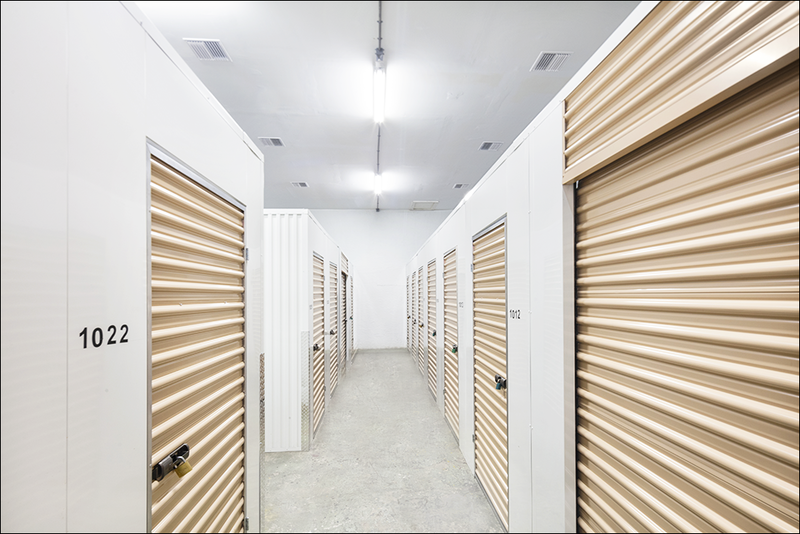 Upon stabilization, an investor can further expand the facility by taking advantage of the vacant second floor of the facility and outfitting the area for storage units to meet the growing demand, along with raising facility rates that are below market, such as the property’s 10x10 climate-controlled units at $25 beneath immediate competitors. The property is equipped with quality features and units, ensuring success for years to come in a prime location, and benefits from many streams of additional revenue in place. These major upsides are paired with forward-looking financials entailing both a projected stabilization and a cash-on-cash return of 11.2 percent in year two. With the facility’s ideal location on a well-traveled thoroughfare in an area swelling in population growth, the site advantageously resides in Hillsborough County’s City of Tampa, a principal of the Tampa Bay Area, one of the fastest-growing metro areas in the country. The county alone has a population higher than that of 10 states, and ranks outside of the Miami counties as the most populous in Florida. Cushman & Wakefield U.S., Inc. ("Broker") has been retained as the exclusive advisor and broker regarding the sale of the property known as EXR-Managed Storage: Tampa, located in Tampa, FL. 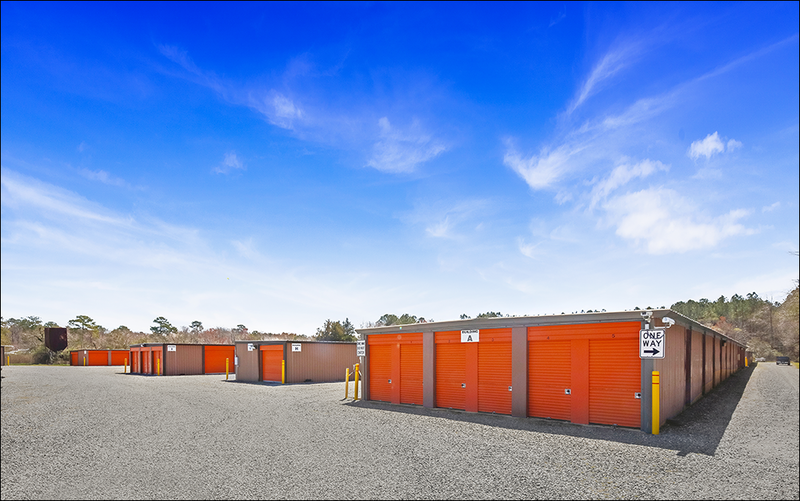 The Mele Group of Cushman & Wakefield has been selected to exclusively market for sale Ocean City Self Storage, located in Cape May County, New Jersey. 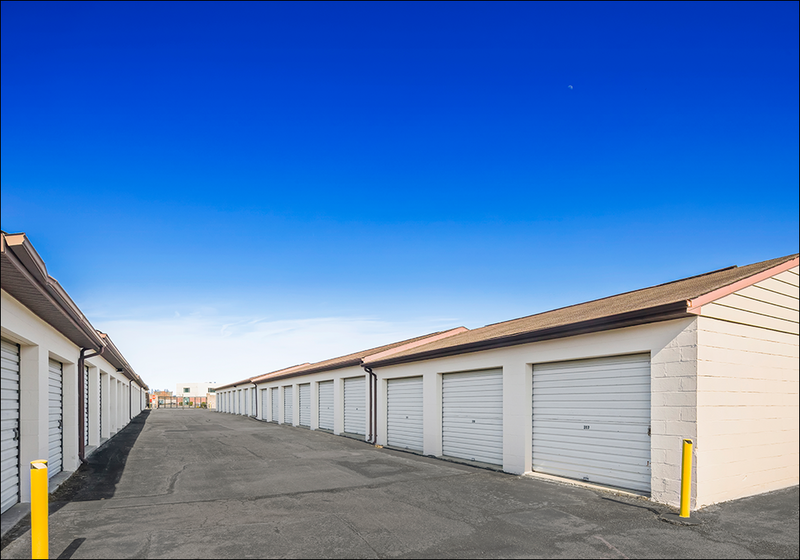 Ocean City Self Storage is comprised of 10,981 rentable square feet on approximately 0.14 acres of land. The three-story facility offers 11,341 rentable square feet among 192 fully climate-controlled units and one retail space, ranging from 16 square feet to 360 square feet; the property was renovated in 2004 and has been well-maintained by management. To ensure a secure premise, the facility is equipped with 24-hour video surveillance and optimal lighting. The subject has physical and economic occupancies of 81.2 percent and 77.4 percent, respectively. 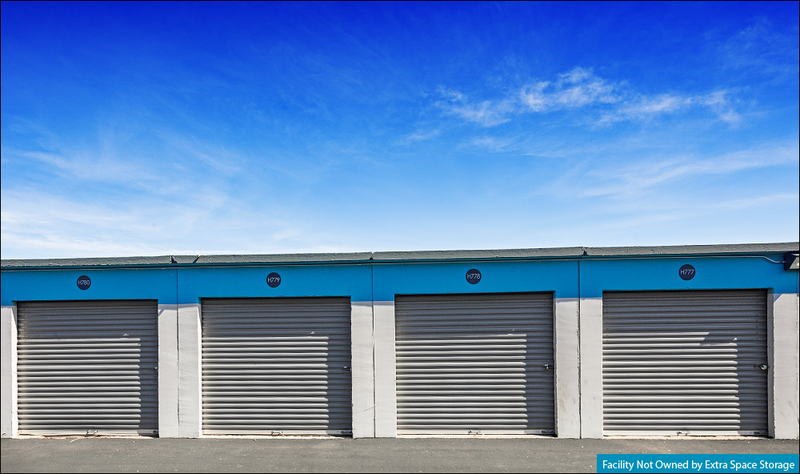 Ocean City Self Storage offers excellent frontage along Asbury Avenue, which offers convenient access to all of Ocean City’s well-renowned amenities. The facility is located at the center of an active residential and retail corridor of Ocean City, New Jersey. 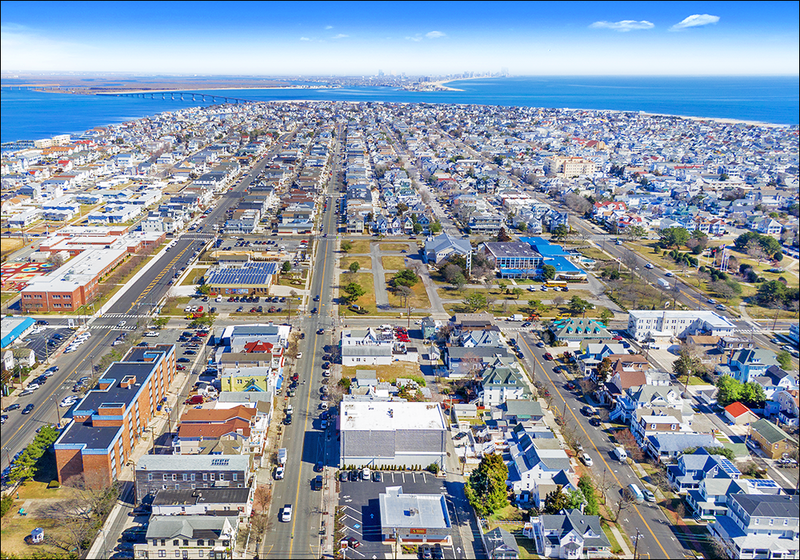 The property is within half a mile of Peck Beach Village Apartments, Ocean City Primary School, Ocean City High School, Starbucks, TD Bank, ACME Supermarket, Domino’s McDonald’s, Dunkin’ Donuts, H&R Block, Sherman Williams, Wells Fargo, Rite Aid and Wawa. The property offers convenient access to Atlantic Avenue residential zone and the well-renowned Ocean City Boardwalk. Ocean City is a key component of Cape May County, the southernmost county in New Jersey and a consistently popular summer destination with 30 miles of beaches along the Atlantic Coast. 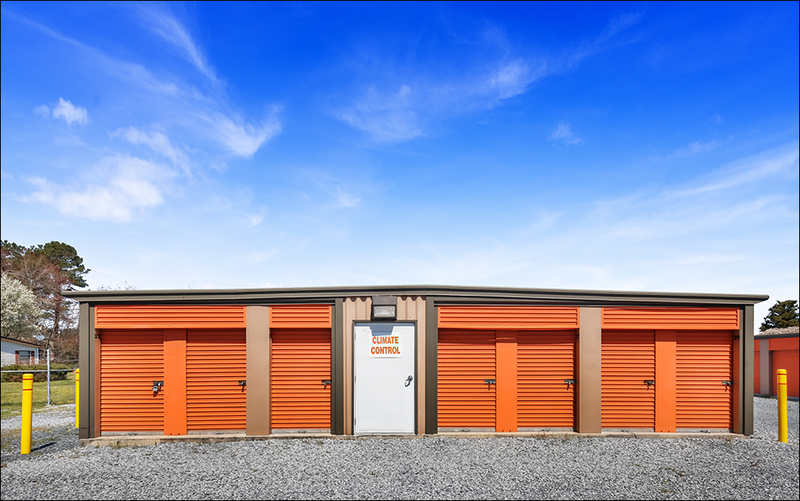 Ocean City Self Storage represents the best of the market, allowing an investor the unique opportunity to acquire this storage asset with multiple upsides. The property has forward-looking financials with projected leveraged IRRs of 17.9 percent and 17.3 percent in years five and seven. An investor can increase profits by implementing a robust tenant insurance program. Additionally, the facility currently lacks a website; acquisition advantageously allows for a new owner to capitalize on offering an online payment system and search engine optimization for prime visibility. 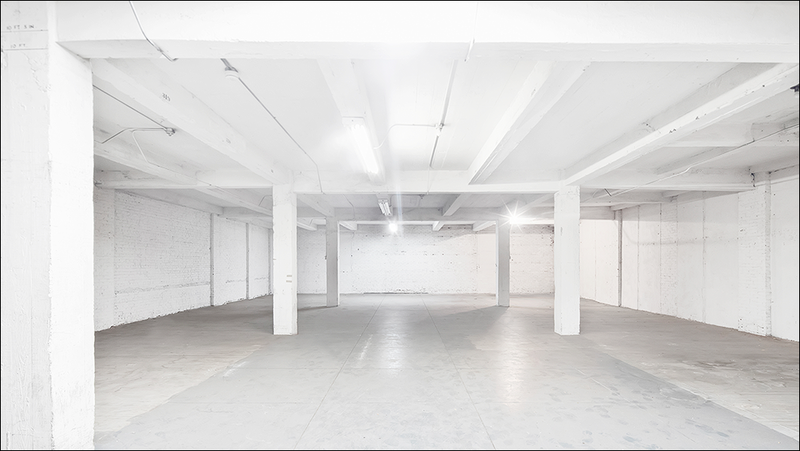 Furthermore, the opportunity represents a rare advantage in obtaining a facility with strong market dominance; there is only one comparable property within the surrounding market. Cushman & Wakefield U.S., Inc. ("Broker") has been retained as the exclusive advisor and broker regarding the sale of the property known as Ocean City Self Storage, located in Ocean City, NJ. 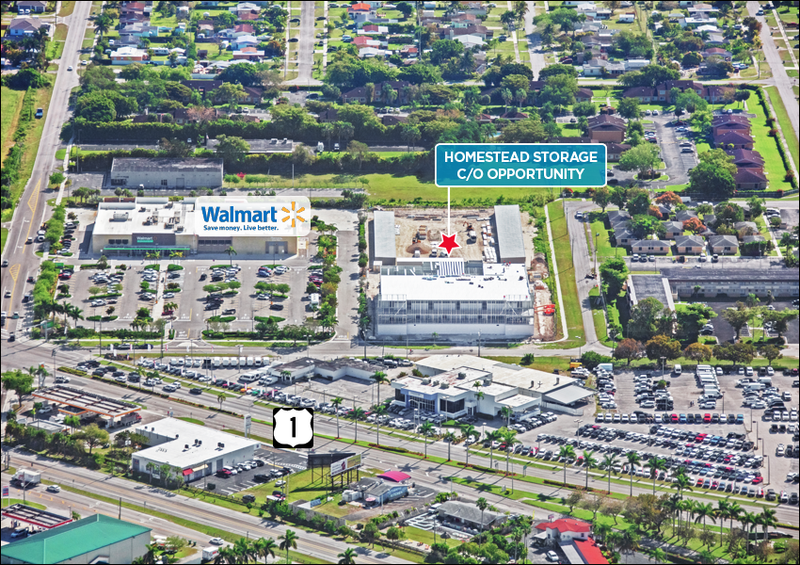 The Mele Group of Cushman & Wakefield has been selected to exclusively market for sale the Homestead Storage C/O Opportunity, an institutional-quality, self-storage development located in Homestead, Florida, a key component of Miami-Dade County. The newly-constructed facility will reside on 3.23 acres and will be comprised of 91,400 rentable square feet upon completion. 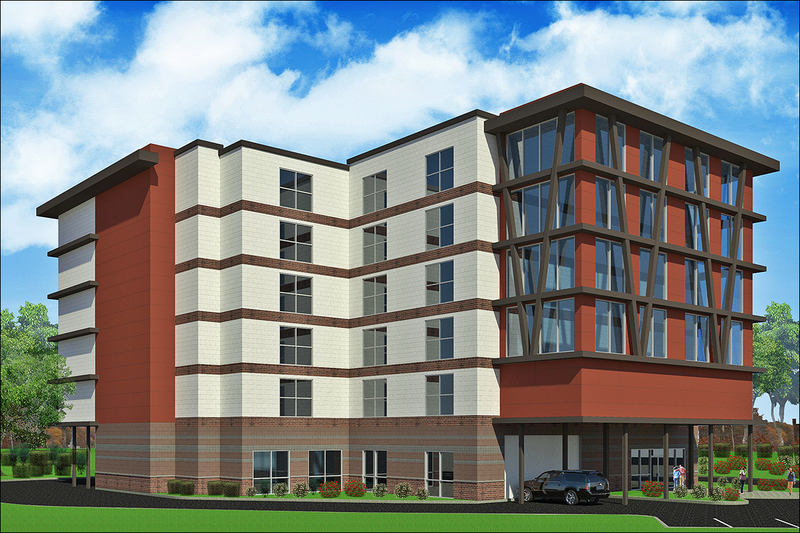 The subject will offer 718 climate-controlled units, 200 lockers, 55 non-climate-controlled units and 31 rental parking spaces for a total of 1,004 units. The facility will feature a fully-climate-controlled, multistory building with convenient elevator access to its upper-level units. Additionally, the elevators will come with a warranty to ensure daily operations and the building will feature a large walk-in area and office space. The Homestead Storage C/O Opportunity will offer additional streams of revenue through tenant insurance and moving supplies; the facility can further increase income through the implementation of a truck rental program upon Certificate of Occupancy. 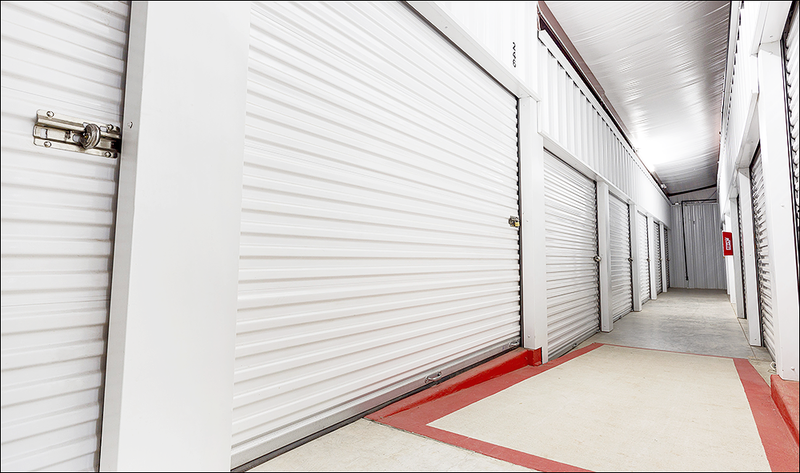 Strategically situated in the Miami, Florida Metropolitan Statistical Area, the Homestead Storage C/O Opportunity offers exceptional upside with strong demographics in an area poised for significant growth. An investor has the unique opportunity to acquire a brand new, state-of-the-art facility that is slated to complete construction in mid-2019. At Certificate of Occupancy, the newly-constructed facility will represent the best-of-the-market and operate in a densely-populated residential area with a multitude of resources and points of interest. 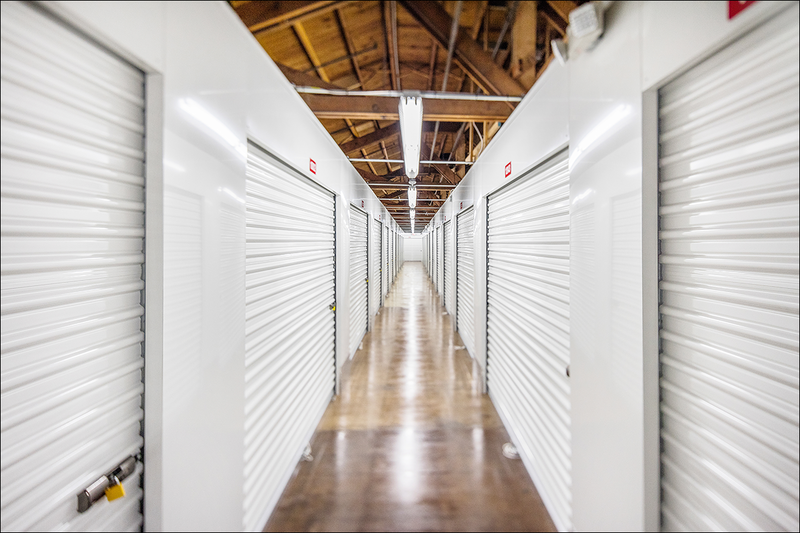 There is a population of over 157,000 individuals within five miles of the property, signifying the need for self-storage within the region. The five-year population growth is projected to flourish at a high rate of 1.50 percent annually from 2019 to 2024. Additionally, an investor will benefit from a 46.5 percent renter-occupied housing population in the surrounding area. The property offers excellent accessibility to U.S. Highway 1 and Florida’s Turnpike, which are two of the most frequented thoroughfares in Miami-Dade County. Ideally situated on Northeast 12th Avenue, the facility is adjacent to U.S. Highway 1 and Old Dixie Highway, which sustain traffic counts in excess of 31,000 and 34,000 vehicles per day. The property is 1.5 miles from Florida’s Turnpike, which witnesses a traffic count of over 49,000 vehicles per day. Additionally, the property is approximately one mile from Krome Avenue, which has a traffic count exceeding 22,000 vehicles per day. Furthermore, the site is within a mile of Campbell Drive, which witnesses a traffic count exceeding 26,000 vehicles per day. The Homestead Storage C/O Opportunity offers convenient access to Downtown Miami and all the nationally-renowned amenities in this primary MSA. Cushman & Wakefield U.S., Inc. ("Broker") has been retained as the exclusive advisor and broker regarding the sale of the property known as Homestead Storage C/O Opportunity, located in Homestead, FL. 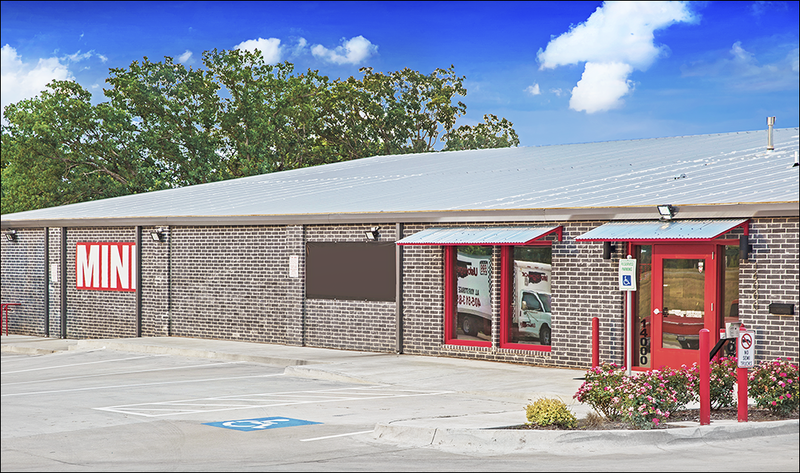 The Mele Group Cushman & Wakefield is pleased to exclusively offer for sale the Edmond, Oklahoma Self Storage Opportunity. Acquisition of the Edmond, Oklahoma Self Storage Opportunity offers an investor the chance to purchase a newly-constructed self-storage facility in one of Oklahoma City’s most affluent suburbs, Edmond. Well-positioned in a top 50 U.S. Metropolitan Statistical Area, the facility features both climate-controlled and non-climate-controlled storage. 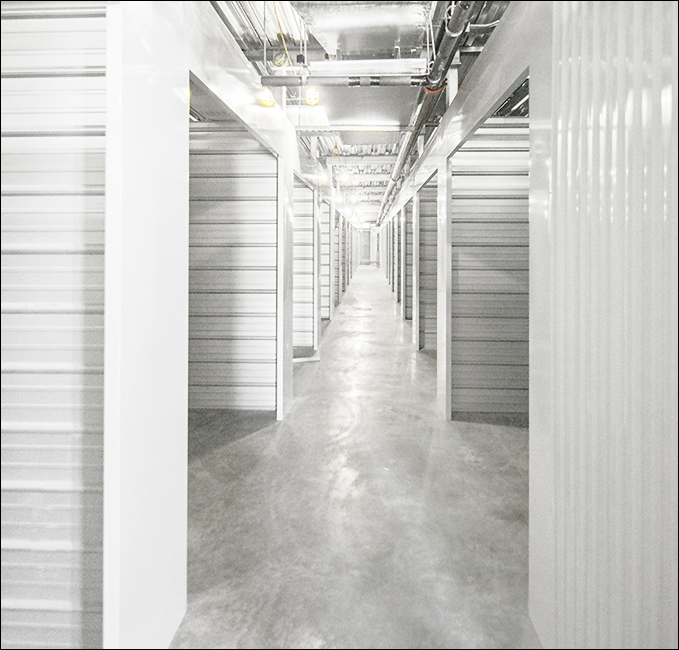 Furthermore, the facility added a 28,000-square foot building in 2018 to meet the region’s high-demand for self-storage. Upon acquisition, an investor can increase profits by raising rental rates to meet the comparable average. The property offers impeccable visibility from Interstate 35, which serves as a major thoroughfare within the region. The offering demonstrates solid projected cash-on-cash returns of 10.2 percent and 10.8 percent in years two and three, in addition to leveraged IRRs of 18.0 percent and 17.6 percent in years five and seven. Initially constructed in 2014, the 134,318-rentable square foot facility is comprised of 618 climate-controlled, drive-up non-climate-controlled and boat/RV parking spaces. The current physical and economic occupancies reside at 88.2 percent and 88.3 percent, respectively. The facility is equipped with a fully-fenced perimeter, gated access, a state-of-the-art video surveillance system and individual unit alarms. The subject’s spacious office area consists of two manager’s offices, a showroom and a conference area. 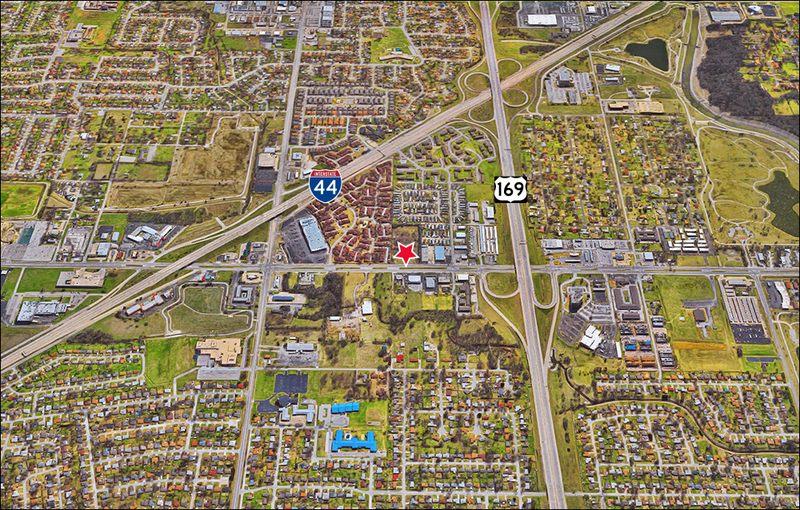 Strategically located along Interstate 35, the property witnesses traffic counts of over 76,000 vehicles daily. The subject is surrounded by an excellent mixture of single-family residential communities and multiple developments that have come underway in the past two years to meet Edmond’s explosive growth. The most significant point of interest is the Edmond Conference Center, which was recently completed in November 2017. Backed by the City of Edmond and paired with the 158-guest Hilton Garden Inn, this large-scale center provides over 20,000 square feet of meeting space while offering extensive retail, restaurant, sport and entertainment opportunities to all of Edmond and Oklahoma City. Situated just north of Oklahoma City, Edmond has been featured as a top location in CNBC’s "10 Perfect Suburbs" and has repeatedly been awarded as an "Outstanding Community" by the State Chamber of Commerce. Surrounded by the picturesque Arcadia Lake serving as a major community recreation center, the suburb has also enjoyed excellent coverage nationwide, appearing in Newsmax magazine’s list of the "Top 25 Most Uniquely American Cities and Towns." Cushman & Wakefield U.S., Inc. ("Broker") has been retained as the exclusive advisor and broker regarding the sale of the property known as Edmond Self-Storage Opportunity, located in Edmond, OK. 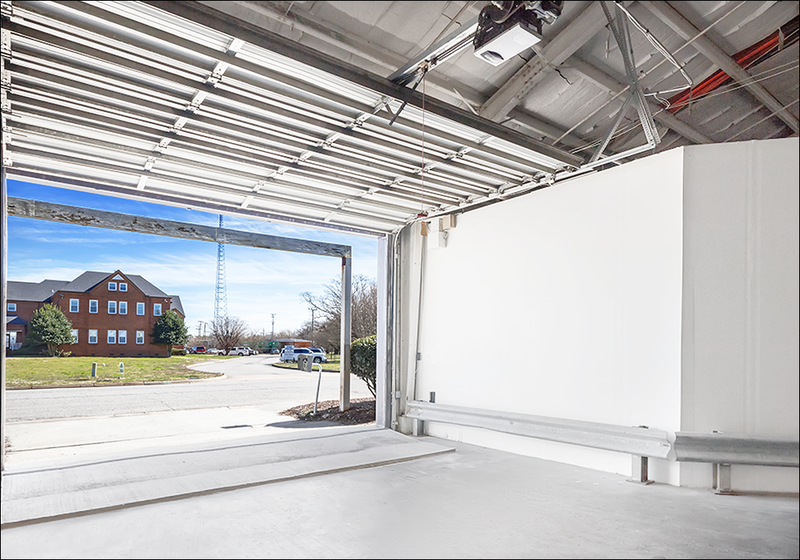 The Mele Group of Cushman & Wakefield is pleased to exclusively offer for sale the Annapolis Self-Storage Development in Annapolis, Maryland, a prosperous component of the Baltimore-Columbia-Towson Metropolitan Statistical Area and the Baltimore-Washington Combined Statistical Area. 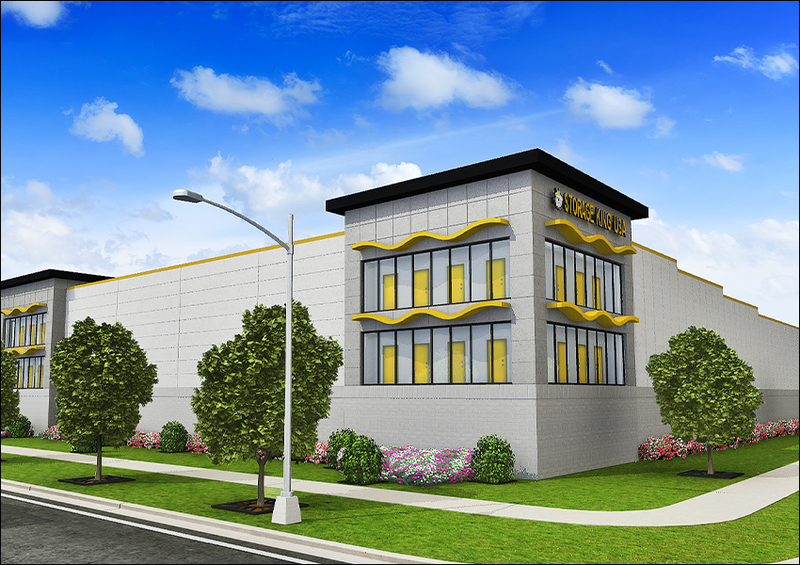 The proposed self-storage opportunity is situated just outside of Annapolis, Maryland, a thriving city ideally situated on the Chesapeake Bay of Maryland. 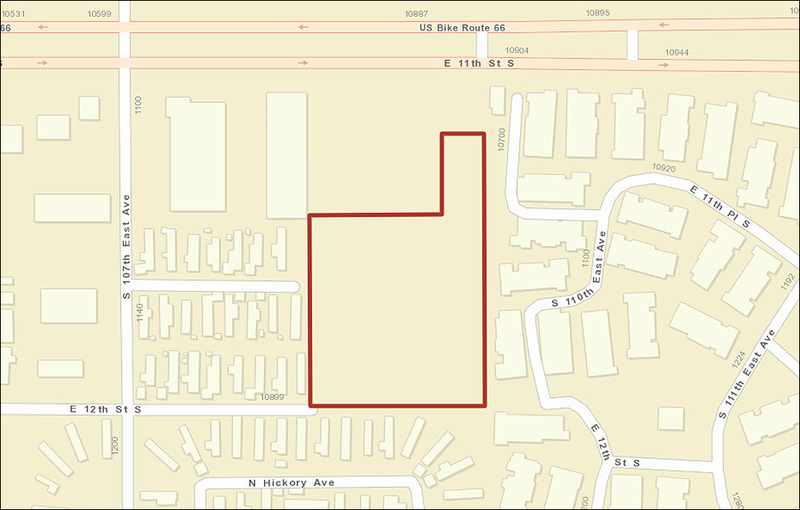 The development site will be delivered fully-entitled and permit-ready for an investor to construct a self-storage facility consisting of 106,839 gross square feet. The property will benefit from direct frontage and excellent exposure to Blue Star Memorial Highway (Route 50), with an estimated daily traffic count of 80,000 vehicles passing the location. An investor has a prime opportunity to capitalize on a favorable market, as there are only two competitors within three miles that are supplying under four square feet per capita and achieving average rental rates of approximately $27 per square foot. 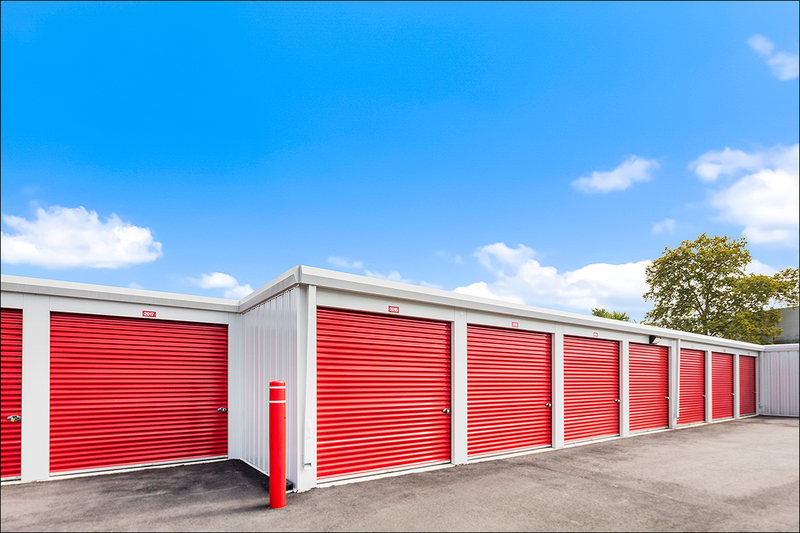 There are multiple self-storage facilities approximately five miles southwest of the subject that are commanding lower rental rates. 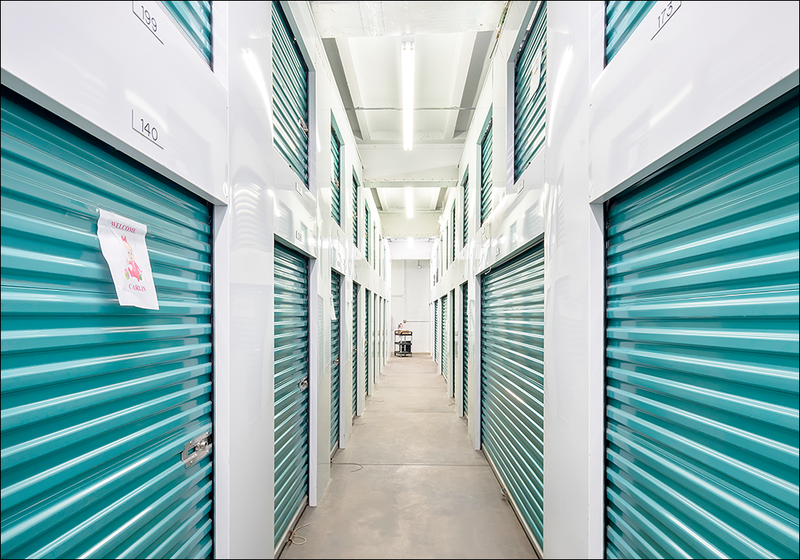 An investor can profit from the region’s high demand for self storage, as there is currently a low number of facilities within the area. This opportunity is paired with a high annual population growth surpassing the national average; the projected yearly population growth from 2017 to 2022 in one, three and five-mile radiuses are 1.09 percent, 0.87 percent and 0.80 percent, respectively. The subject property is located in Annapolis’ suburb of Arnold, comprised of a wealthy enclave of large homes without basements. In addition, there is also a multitude of waterfront properties characterized by a high-income demographic with a median income of $113,568. 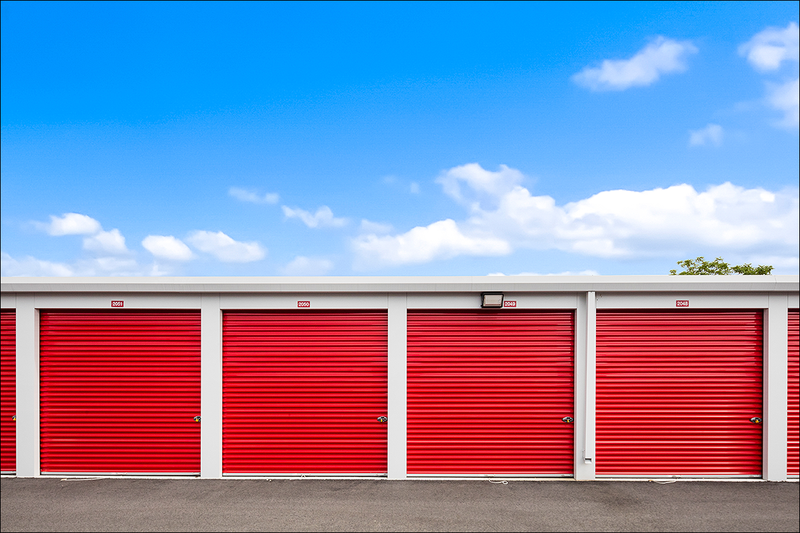 These details are indicative of the self-storage demand in the market exceeding the national average. Furthermore, the plethora of surrounding waterfront communities further raises the demand for self storage as boats, jet skis and other sporting gear are commonly owned among peninsula residents near the opportunity. Cushman & Wakefield U.S., Inc. ("Broker") has been retained as the exclusive advisor and broker regarding the sale of the property known as Annapolis Self-Storage Development, located in Annapolis, Maryland. 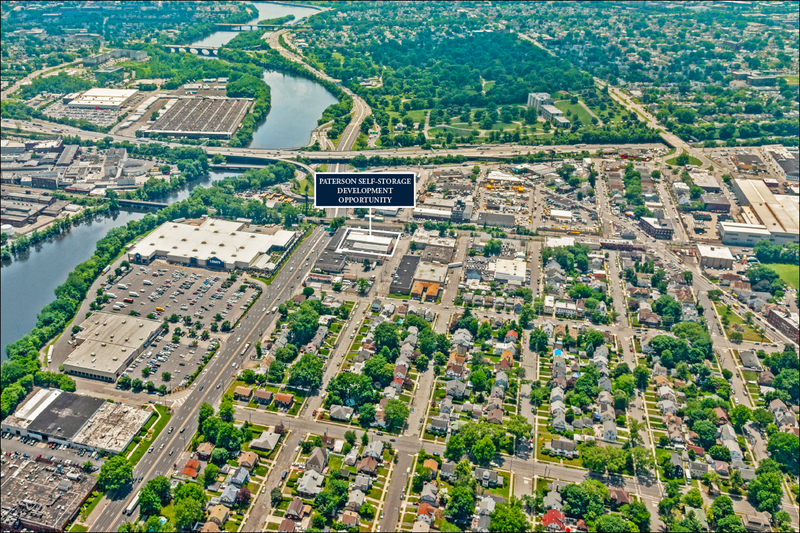 The Mele Group of Cushman & Wakefield is pleased to exclusively offer for sale the Talcottville Self-Storage Development within Vernon, a prosperous component of the Hartford Metro Area. 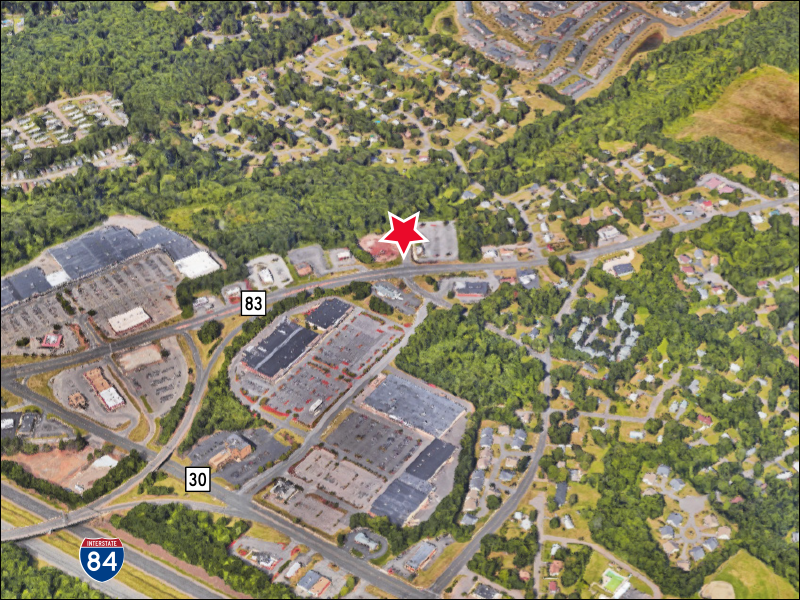 The proposed self-storage opportunity is situated in Talcottville, a thriving community in Vernon, Connecticut. 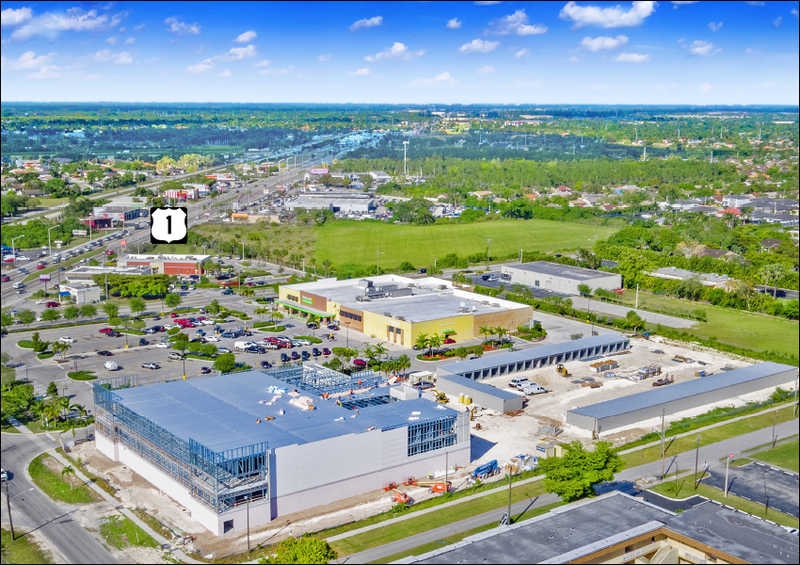 The development site offers an investor the prime opportunity to construct a brand new, state-of-the-art facility consisting of approximately 72,000 projected rentable square feet and 90,000 gross square feet. 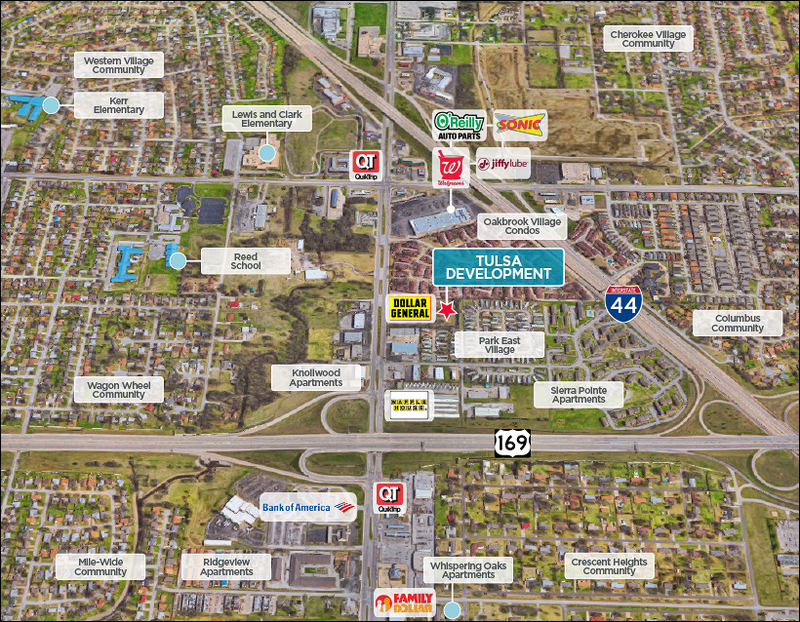 The development site is also zoned for commercial, in addition to self-storage. The property will benefit from direct frontage along Talcottville Road, which sustains a traffic count in excess of 27,000 vehicles per day. 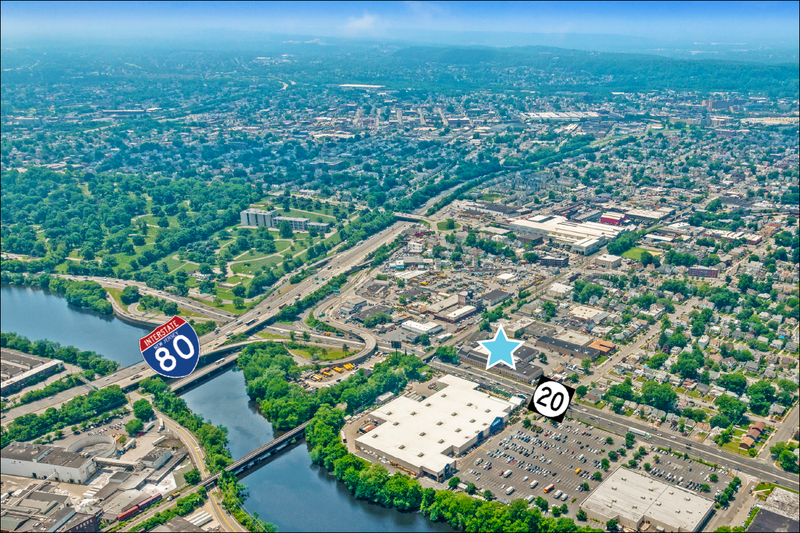 The property has excellent exposure to the Hartford Turnpike and Interstate 84, with estimated daily traffic counts of over 18,000 and 93,000 vehicles per day. 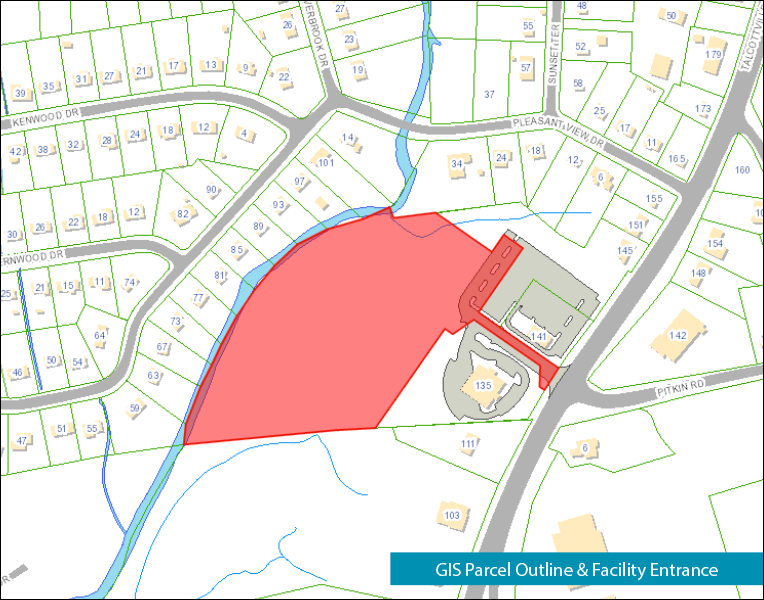 The Talcotville Self-Storage Development resides in a favorable market, as there are only three competitors within five miles of the subject property. Furthermore, an investor can establish a significant market footprint, as the development site is the closest property to the surrounding residential areas within the immediate vicinity. There is a strong population count of over 100,000 individuals within five miles of the development site. Talcottville is a well-known historic district ideally situated less than 15 minutes from Hartford, Connecticut and 25 miles from Springfield, Massachusetts. The surrounding region is comprised of a high-income demographic with a median household income of over $84,000, $76,000 and $71,000 within one, three and five miles of the property. 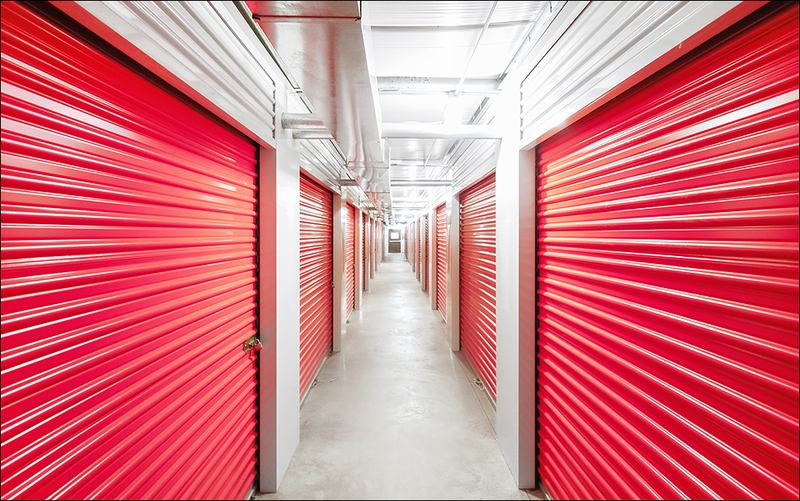 These details are indicative of the self-storage demand in the market exceeding the national average. 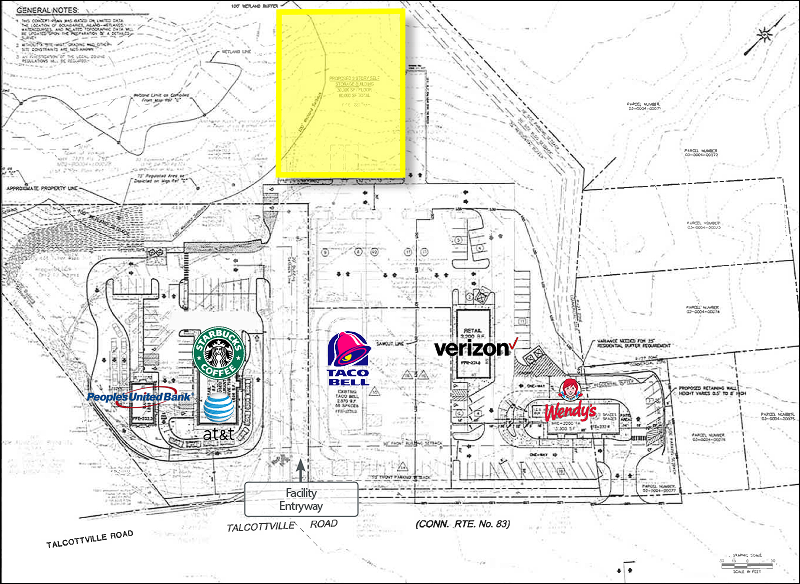 Additionally, the property is within the immediate vicinity of several national retailers and points of interest, including an adjacent center with Starbucks, Taco Bell, Wendy’s, Verizon, AT&T and People’s United Bank. The Talcottville Self-Storage Development is within a mile of ALDI, TJ Maxx, Staples, CVS, United Bank, Bank of America, UPS, Holiday Inn, Denny’s and two major shopping centers which draw in consistent traffic along Talcottville Road. The site will also advantageously serve as the closest facility to the brand-new Trail Run Apartments currently underway, projected to boast over 300 units less than one mile from the opportunity. The Talcottville Historic District is a key component of Vernon, Connecticut; the largest town in Tolland County and a greater component of the Hartford Metropolitan Area. Vernon is located within New England’s Knowledge Corridor; a prominent interstate partnership of regional economic development, planning, business, tourism and educational institutions that work together to advance the region’s economic progress. The New England Knowledge Corridor is within proximity to several of the nation’s top-ranked universities and higher institutions. Overall, Vernon and its surrounding suburbs provide an excellent economic environment for growth and development. 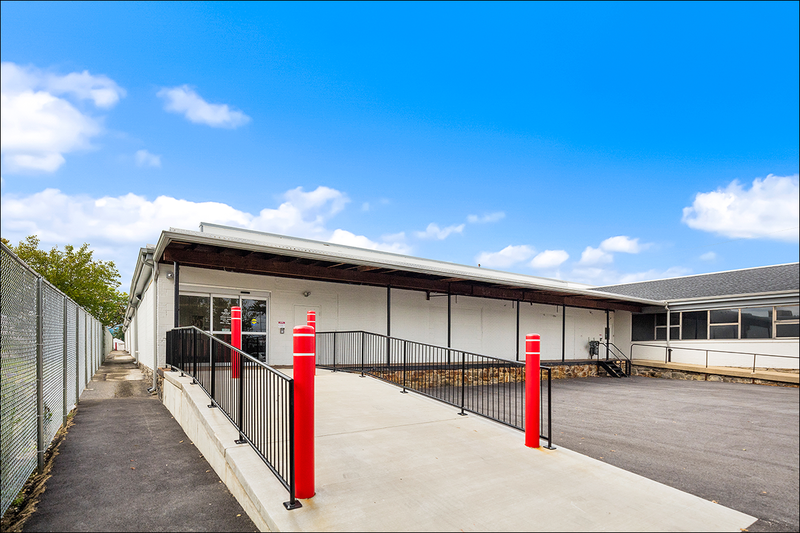 Cushman & Wakefield U.S., Inc. ("Broker") has been retained as the exclusive advisor and broker regarding the sale of the property known as Talcottville Storage Development, located in Vernon, CT. The Mele Group of Cushman & Wakefield has been selected to exclusively market for sale EXR-Managed Las Vegas, located within the Las Vegas, Nevada Metropolitan Statistical Area. The acquisition of EXR-Managed Las Vegas offers an investor the chance to purchase a professionally-managed asset with significant upside in Las Vegas, Nevada. Well-positioned in a top 30 U.S. Metropolitan Statistical Area, the facility has excellent frontage along Boulder Highway, in addition to optimal visibility from Interstate 515. The facility was renovated in 2018 with the addition of over $1 million in capital improvements, which includes new paint, new lighting, roof repairs, a new air cooling system and a new, state-of-the-art security system. The property includes one manager’s apartment which can be converted to storage, in addition to a vacant lot along Boulder Highway which can also be converted to self-storage. An investor can further increase profits by raising the non-climate-controlled rental rates to meet the comparable average. Additionally, the facility can benefit from the implementation of a robust tenant insurance program. EXR-Managed Las Vegas has been well-maintained and was repaved in the last six months. The surrounding area is rapidly expanding, as there is a projected population increase of 1.26 percent annually from 2019 to 2023. 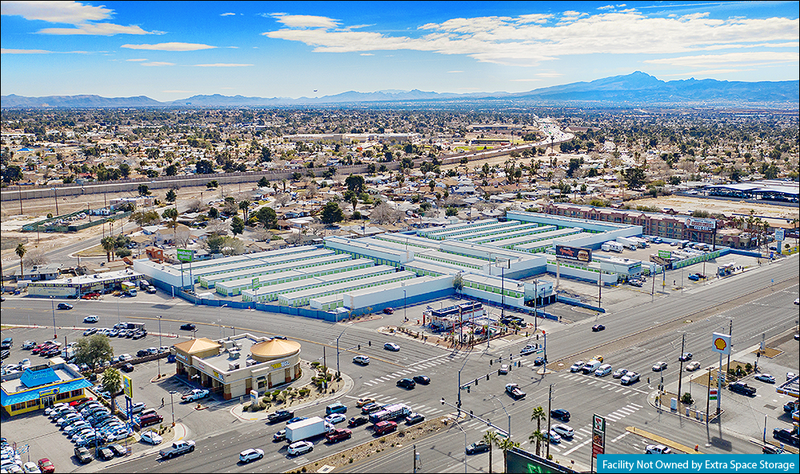 EXR-Managed Las Vegas consists of 127,141-rentable square feet and is comprised of 54 climate-controlled, 1656 non-climate-controlled and 75 boat/RV parking spaces for a total of 1,785 square feet. The unit mix is subject to adjustment based on the CONVADD plan on page 13. The current physical and economic occupancies reside at 83.4 percent and 70.9 percent, respectively. The facility is equipped with a fully-fenced perimeter, gated access and a video surveillance system for consumer safety. Furthermore, EXR-Managed Las Vegas others a wide-variety of options and multiple gates for consumer convenience. Located directly along Boulder Highway, the property witnesses traffic counts of over 35,000 vehicles daily. The property also benefits from visibility along Interstate 515, which sustains a robust traffic count in excess of 133,000 vehicles per day. Furthermore, the facility is within two miles of Nellis Boulevard and Tropicana Avenue; these nearby thoroughfares witness traffic counts of over 36,000 and 50,000 vehicles daily. An investor can benefit from the consistent volume of traffic from multiple roadways within the surrounding area. Las Vegas is the county seat of Clark County and the most populous metro area in the state of Nevada; the city is well-renowned as the "Entertainment Capital of the World." Cushman & Wakefield U.S., Inc. ("Broker") has been retained as the exclusive advisor and broker regarding the sale of the property known as EXR-Managed Storage: Las Vegas, located in Las Vegas, Nevada. 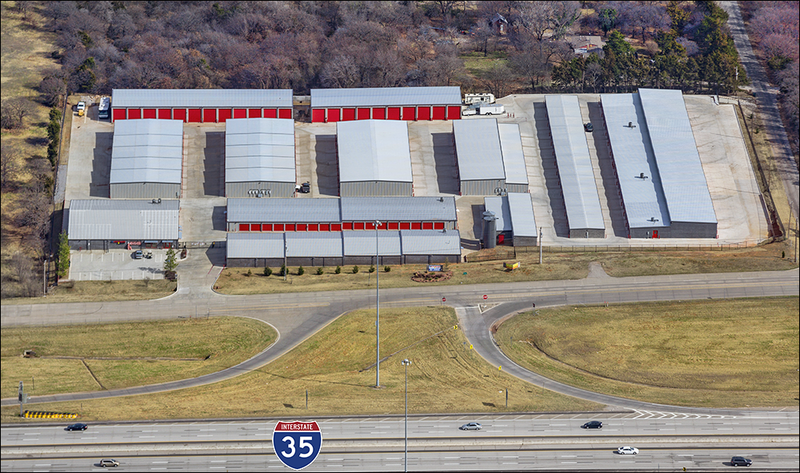 The Mele Group of Cushman & Wakefield is pleased to exclusively offer for sale the Tulsa Storage Development, located in Tulsa, Oklahoma. 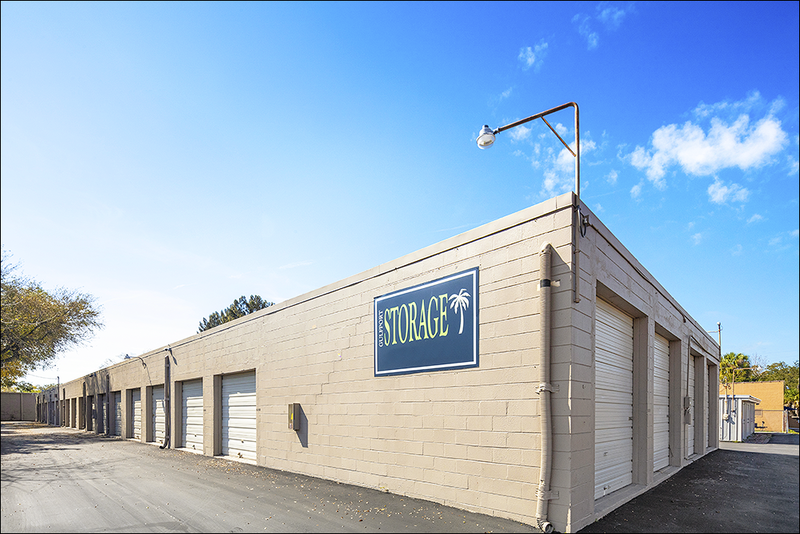 The proposed self-storage opportunity offers an investor the opportunity to develop a newly-constructed storage facility representing the best of the market. The proposed development is shovel ready and zoned for storage, consisting of approximately 58,500 projected rentable square feet and 75,000 gross square feet. Based on the demands of the market, the facility is optimally proposed at 80 percent climate-controlled units, granting it a clear advantage over immediate competitors, and a projected lease-up period of 36 months, stabilizing at 90 percent physical occupancy. Also benefiting the development are no other storage projects planned or underway within the vicinity. 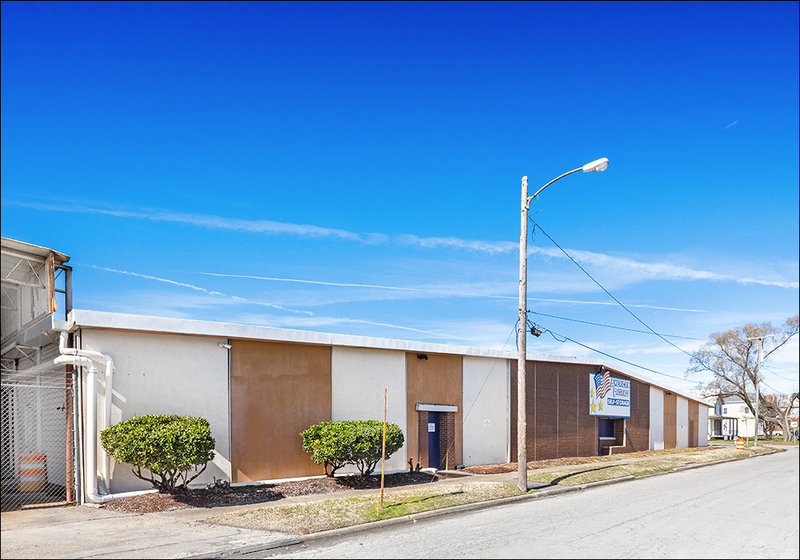 Located on an estimated 2.82 acres at 10820 East 11th Street, the site is situated in the heart of multiple residential and multifamily communities. The location also boasts fantastic access from both Interstate 44 and U.S. Highway 169, which respectively see traffic counts of 74,600+ and 111,900+ vehicles daily, while East 11th Street witnesses over 25,400 vehicles daily. Directly adjacent to the site are residential communities Oakbrook Villages and Park East Village, allowing the facility to serve as each community’s closest storage destination, and Dollar General, generating further traffic. The surrounding area is comprised of numerous nationally-recognized retailers, shopping centers and the many residential areas’ local schools. The overall population within a five-mile radius consists of 156,116 individuals among 61,388 households. Cushman & Wakefield U.S., Inc. ("Broker") has been retained as the exclusive advisor and broker regarding the sale of the property known as Tulsa Storage Development, located in Tulsa, OK. 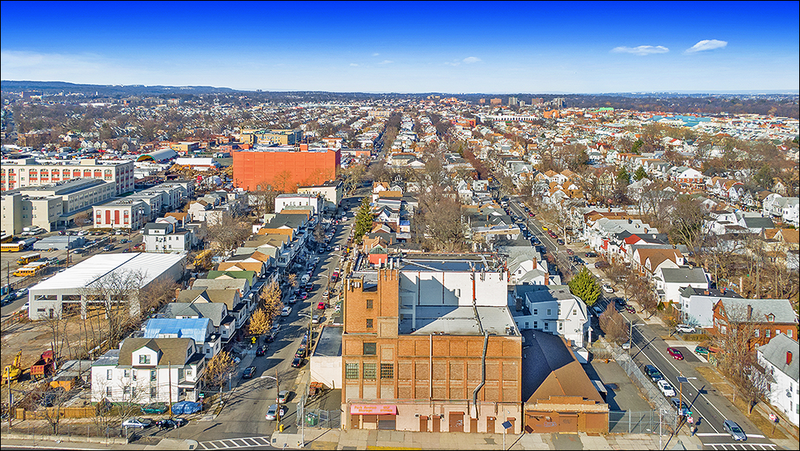 The proposed self-storage development opportunity is located within the center of Paterson’s historical district and populous residential corridor. 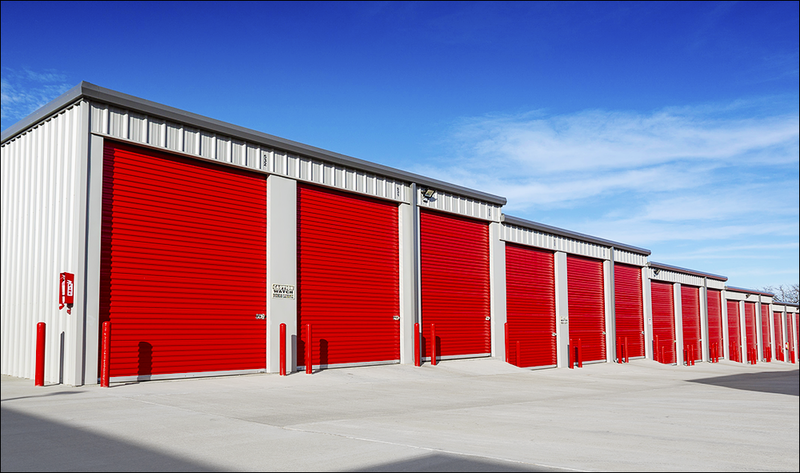 The site features numerous advantages that allow it to stand out as a premier self-storage facility and ideal investment asset, including an excellent housing profile, strong visibility from multiple highways and exceptional traffic counts. The heavily-populated residential zone that surrounds the facility is perpendicular to the East Side Historic District and the East Side Park, which is a prominent division consisting of several historic mansions. Upon completion, the Class A, four-story facility is projected to yield a gross building area of 124,000 square feet and 93,000 rentable square feet. Approval will yield a well-located self-storage parcel consisting of 1.75 acres with ample parking for consumer convenience. The facility will also exhibit large pylon signage which will illuminate the facility and enhance visibility from high-traffic areas. An investor will have the unique opportunity to construct a multistory facility upon this parcel that will exemplify the best of the market in terms of construction and architectural design. 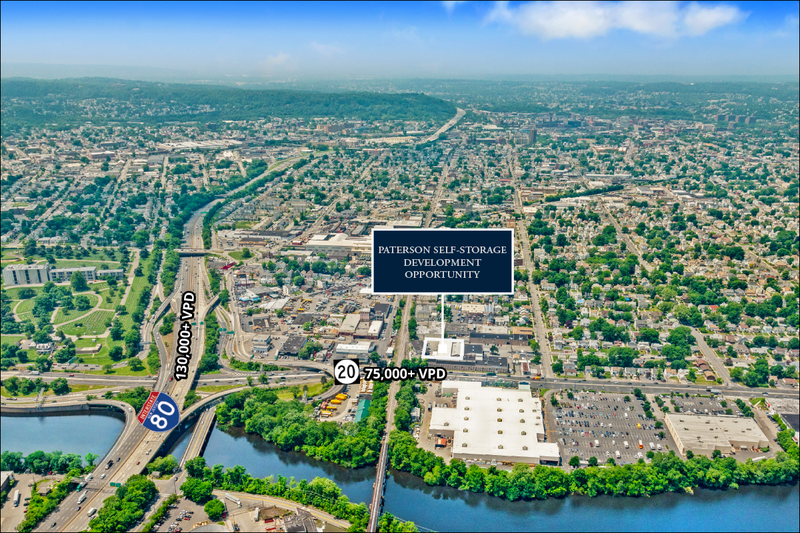 Cushman & Wakefield U.S., Inc. ("Broker") has been retained as the exclusive advisor and broker regarding the sale of the property known as Paterson Self Storage Development- Paterson, NJ, located in Paterson, New Jersey. 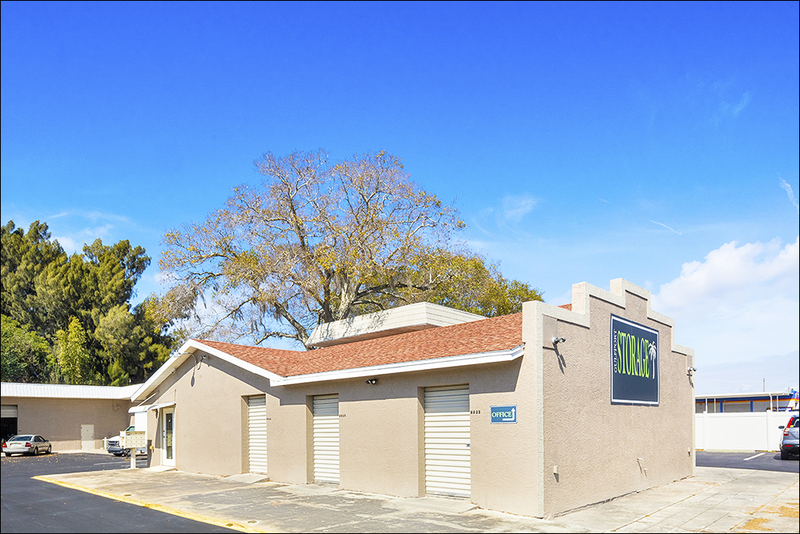 - Stabilized Asset with Significant Upside in a Highly-Active Residential and Retail Corridor of Gulfport, Florida; a Rapidly-Growing Component of the Tampa Bay MSA and the 19th Largest Metro Area in the U.S. The Mele Group of Cushman & Wakefield has been selected to exclusively market for Gulfport Storage in Gulfport, Florida. Strategically situated in the Tampa Bay Metropolitan Statistical Area, Gulfport Storage offers exceptional upside with forward-looking financials in an area poised for significant growth. An investor has the unique opportunity to acquire a stabilized asset which recently underwent over $250,000 in capital improvements. Among these renovations, all 2.5 acres of asphalt have been completely re-surfaced and a new surveillance security system was installed. 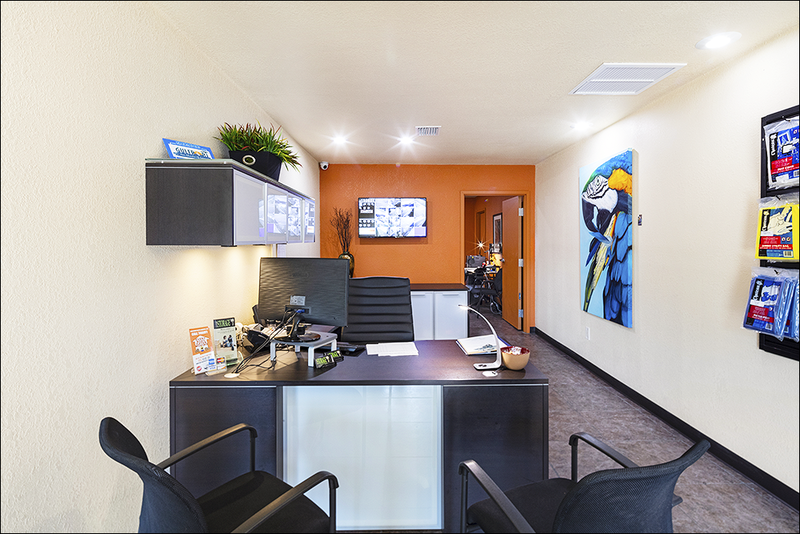 Gulfport Storage offers a fully-remodeled manager’s office, new painting throughout the premises and new climate-controlled units. There is a prime opportunity to increase revenue by raising rental rates to meet the comparable average; the non-climate-controlled rates are currently below market. Additionally, there is an opportunity to convert larger units into smaller climate-controlled spaces to further maximize revenue. The facility has projected leveraged IRRs of 18.2 percent and 18.6 percent in years five and seven, in addition to cash-on-cash returns of 9.1 percent and 10.6 percent in years two and three. The subject is encompassed in a densely-populated residential area with a multitude of resources and points of interest. 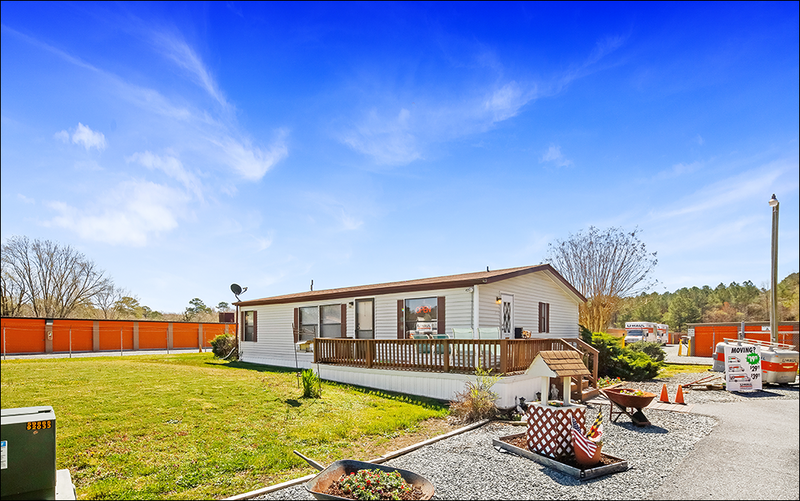 Furthermore, the property offers convenient access to Interstate 275, one of the most heavily-frequented roadways in the tri-county area. Gulfport Storage resides on 2.54 acres and 40,082 rentable square feet. The facility currently offers 40 climate-controlled units, 275 non-climate-controlled units, 15 rental parking spaces, nine mailboxes and two office spaces for a total of 341 units. The subject has solid physical and economic occupancies of 92.9 percent and 82.7 percent, respectively. Gulfport Storage offers additional streams of revenue through truck rentals and moving supplies; the facility can further increase income through the implementation of a robust tenant insurance program. To ensure security for the premises, the property is equipped with optimal lighting, fencing and a new video surveillance. Gulfport Storage is directly located on 49th Street South, which sustains a traffic count in excess of 8,000 vehicles per day. The property is just north of 22nd Avenue South at a 0.2-mile distance and west of Interstate 275 at a two-mile distance; these two thoroughfares witness traffic counts of over 17,000 and 91,000 vehicles daily. Additionally, the facility is approximately 1.5 miles from 34th Street South, which sustains a traffic count in excess of 27,000 vehicles per day. Gulfport is a key component of Pinellas County, which is situated in the Tampa Bay Metropolitan Statistical Area; the 19th largest MSA in the country. Cushman & Wakefield U.S., Inc. ("Broker") has been retained as the exclusive advisor and broker regarding the sale of the property known as Gulfport Storage - UNDER LOI, located in Gulfport, FL. 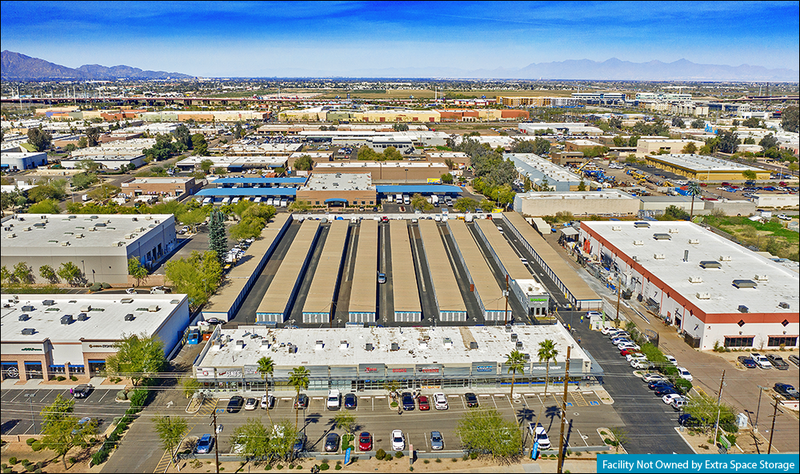 The Mele Group of Cushman & Wakefield has been selected to exclusively market for sale EXR-Managed Tempe, located within the Phoenix, Arizona Metropolitan Statistical Area. 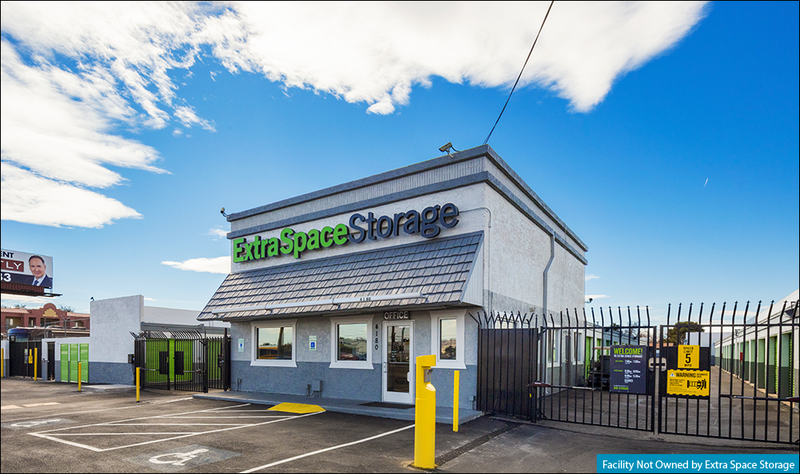 EXR-Managed Tempe indicates an exceptionally rare opportunity to acquire an impeccably-located self-storage facility in one of the nation’s fastest-growing areas. This opportunity offers a qualified investor significant upside through a strong market footprint, high physical and economic occupancies and a predominantly renter-occupied housing population, statistically demonstrating a higher utilization of storage compared to owner-occupied housing. Comprised of 61,900 rentable square feet, the facility offers 691 non climate-controlled units, ranging from 25 square feet to 400 square feet, among 37 boat and RV parking spaces for a total of 728 units. 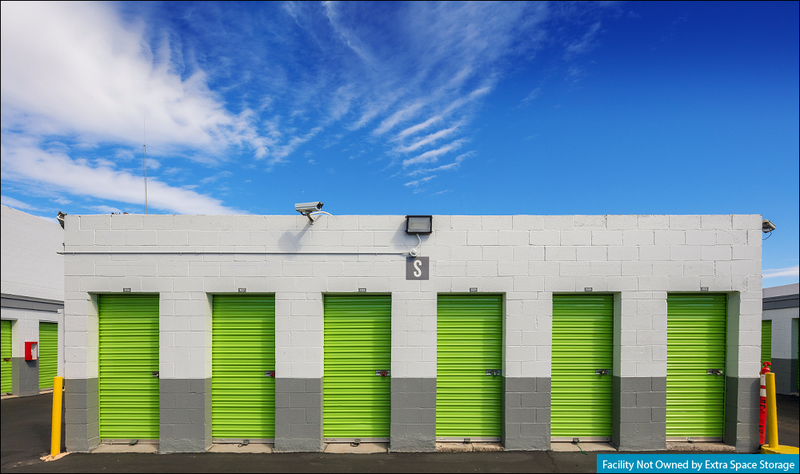 To ensure a secure premise and storage units, the facility is equipped with 24-hour video surveillance, personalized gate codes, electronic gated access, professional management and an on-site resident manager. At the meticulously-kept facility is a two-bedroom, one-bathroom apartment to accommodate the resident manager. Overall, the facility boasts a physical occupancy of 90.3 percent and an economic occupancy of 82.5 percent, and is indicative by the high traffic within the facility. Residing on 3.14 acres at 1964 East University Drive in Tempe, Arizona, the facility is perfectly positioned with excellent curbside appeal. University Drive, seeing an average of 37,400 vehicles daily, links directly to Arizona State University’s Tempe Campus. Lauded for its large student enrollment count of over 42,500 undergraduate students, the facility is less than a mile from the university. The facility is also located minutes away from both Arizona’s Loops 101 and 202; both are primary thoroughfares in the Phoenix Metro Area which witness traffic counts in excess of 101,200 and 174,400 vehicles per day, respectively. As a component of Maricopa County, this county was recognized by the U.S. Census Bureau for adding over 222 new individuals daily, more than any other U.S. county and emerging as the county with the nation’s highest annual population growth. In 2018, the Phoenix MSA was also recognized by the U.S. Census Bureau for having the fourth-largest population gain of any metro area. Cushman & Wakefield U.S., Inc. ("Broker") has been retained as the exclusive advisor and broker regarding the sale of the property known as EXR-Managed Storage: Tempe - UNDER LOI, located in Tempe, Arizona. The Mele Group of Cushman & Wakefield pleased to exclusively offer for sale Primos Self-Storage in Clifton Heights, Pennsylvania. 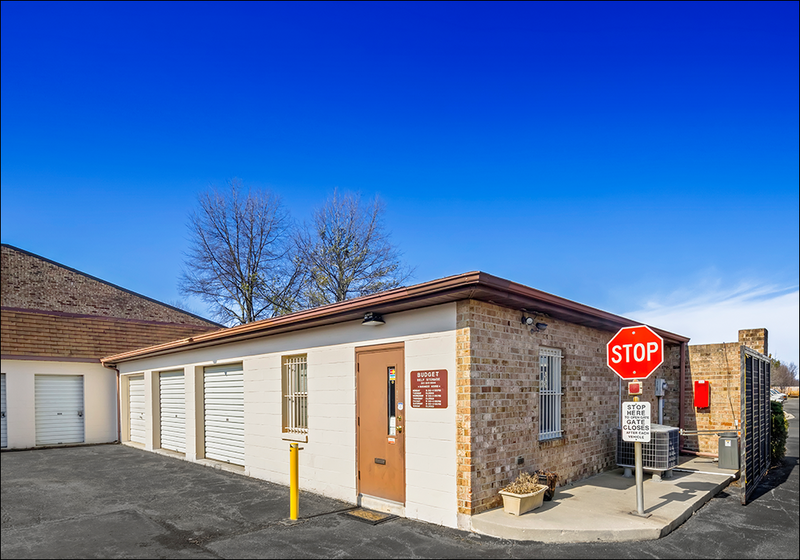 Primos Self Storage is situated in Clifton Heights, Pennsylvania, which is approximately eight miles from downtown Philadelphia. The facility is in a densely populated region; there are over 200,000 individuals with an average household income in excess of $80,000 within a three-mile radius. An investor has the unique opportunity to acquire a newly-constructed facility in a dense retail corridor encompassed by several housing developments. The facility was recently converted and built in the spring of 2017 and is currently in its lease-up phase. A qualified investor can add substantial value in any or all of the following ways; raising rates to match the market’s, adding parking revenue for unused spaces and implementing a truck rental program. A qualified buyer can capitalize on the subject’s superior construction and ideal location upon stabilization. Consisting of 82,116 net rentable square feet on 5.41 acres, the facility maintains 128 non-climate-controlled units, 590 climate-controlled units and five rental parking spaces for a total of 723 units. The subject offers a wide variety of well-maintained storage options, premium security and on-site management for consumer convenience. The property is secured with surveillance cameras, fencing, electronic gating and optimal lighting throughout the premises. Currently, the facility sustains physical and economic occupancies of 59.5 and 49.1 percent as the lease-up phase continues. The facility offers multiple entry points from Mildred Avenue and Providence Road. Providence Road has a traffic count of over 14,000 vehicles per day. North Oak Avenue intersects Providence Road and is 0.1 miles from the subject property. North Oak Avenue also sustains a traffic count in excess of 14,000 vehicles per day. The facility is encompassed by a thriving retail corridor and several dense residential zones, demonstrating the need for self-storage within the region. Clifton Heights is a suburban component of Philadelphia, Pennsylvania; the sixth-most populous city in the United States. 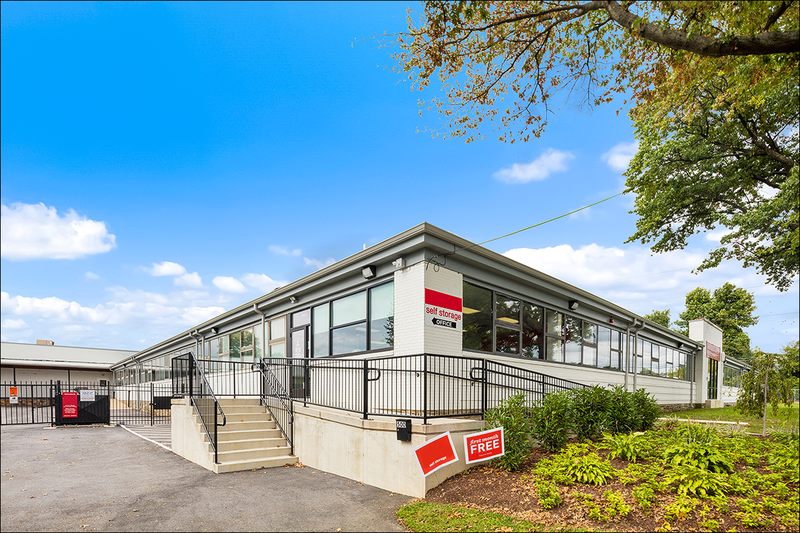 Cushman & Wakefield U.S., Inc. ("Broker") has been retained as the exclusive advisor and broker regarding the sale of the property known as Primos Self Storage - UNDER CONTRACT, located in Clifton Heights, Pennsylvania.